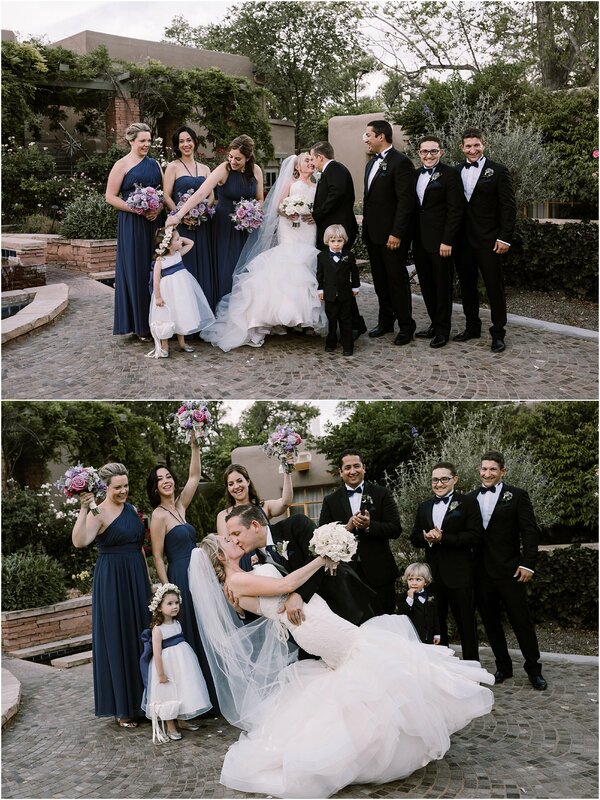 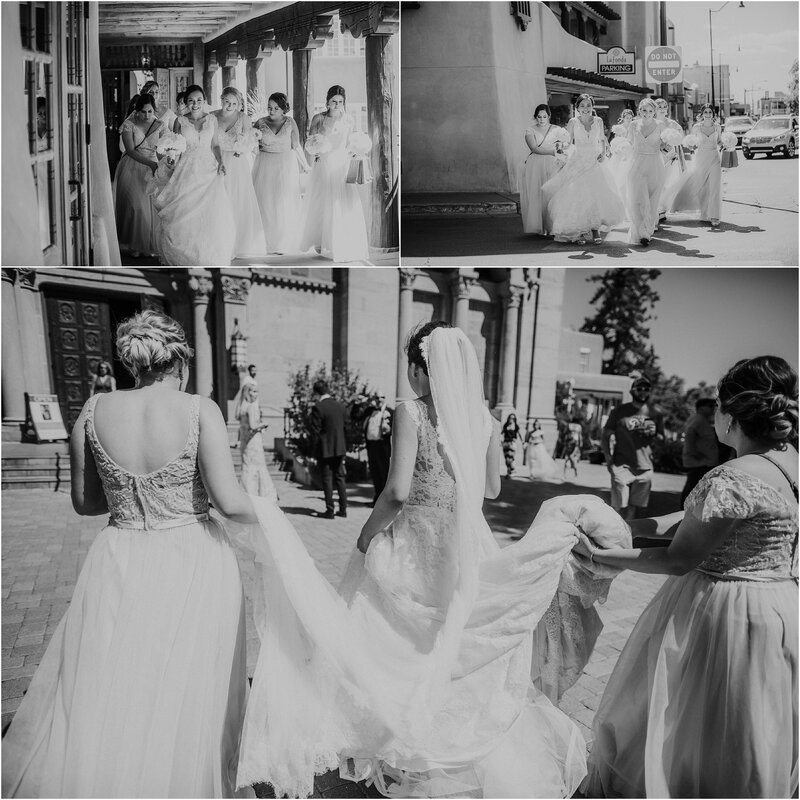 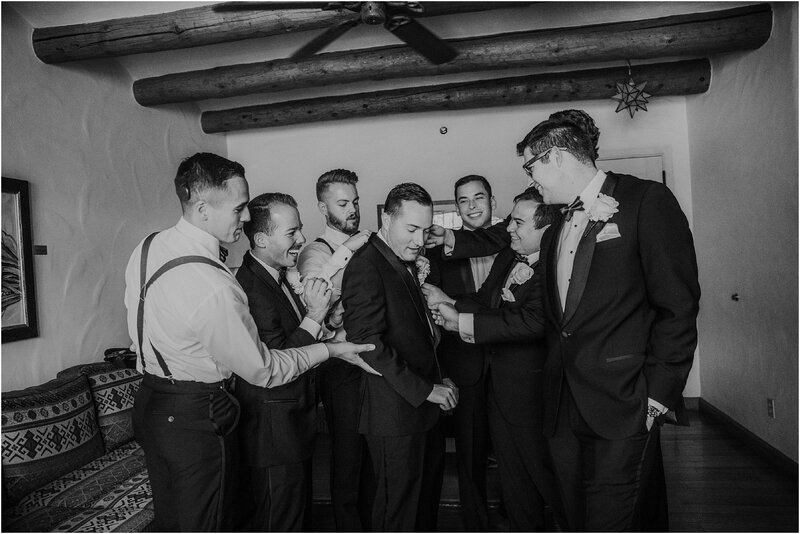 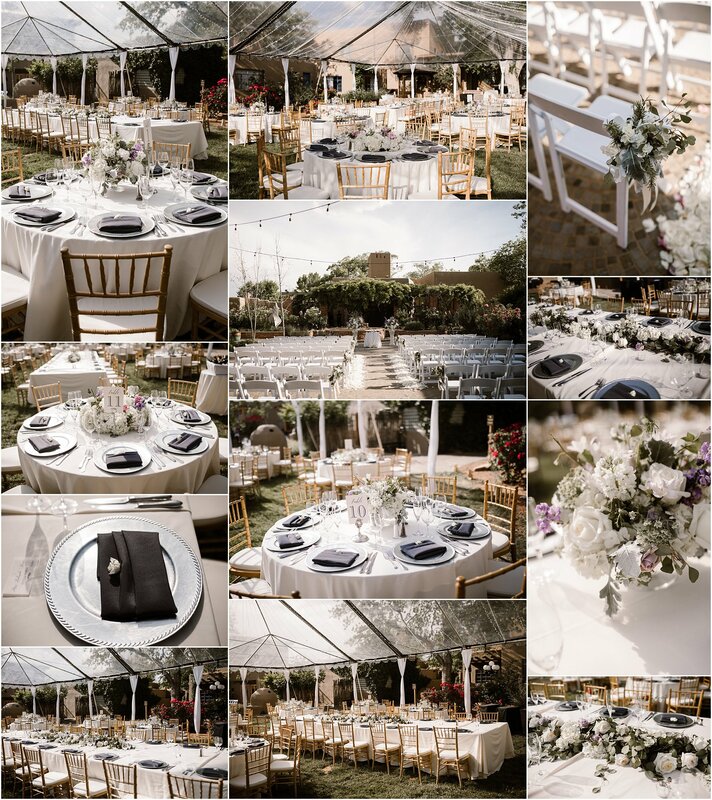 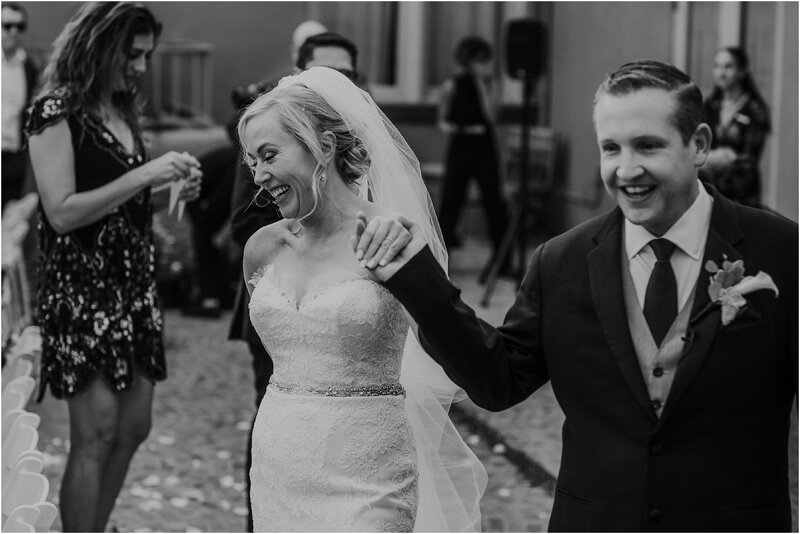 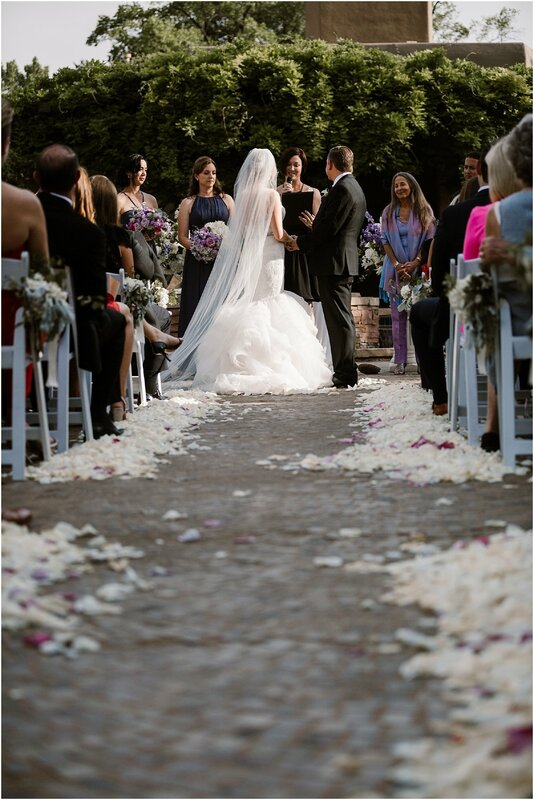 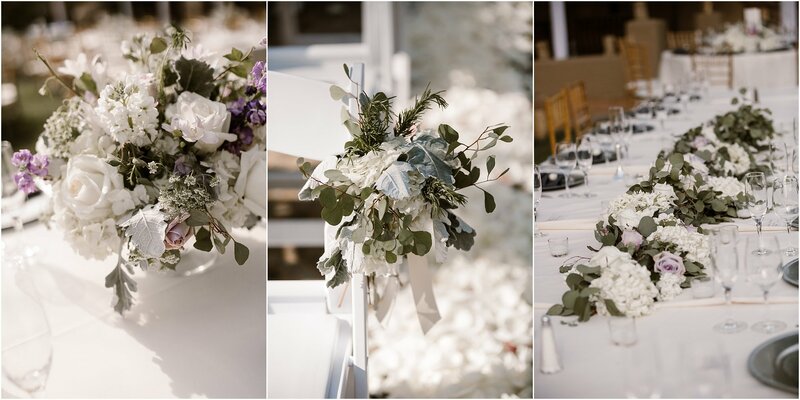 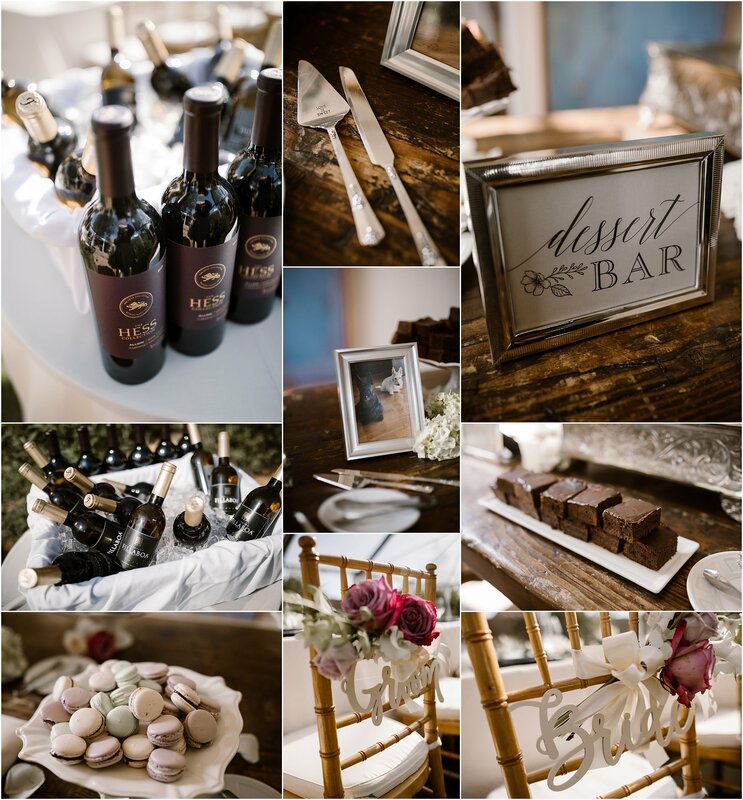 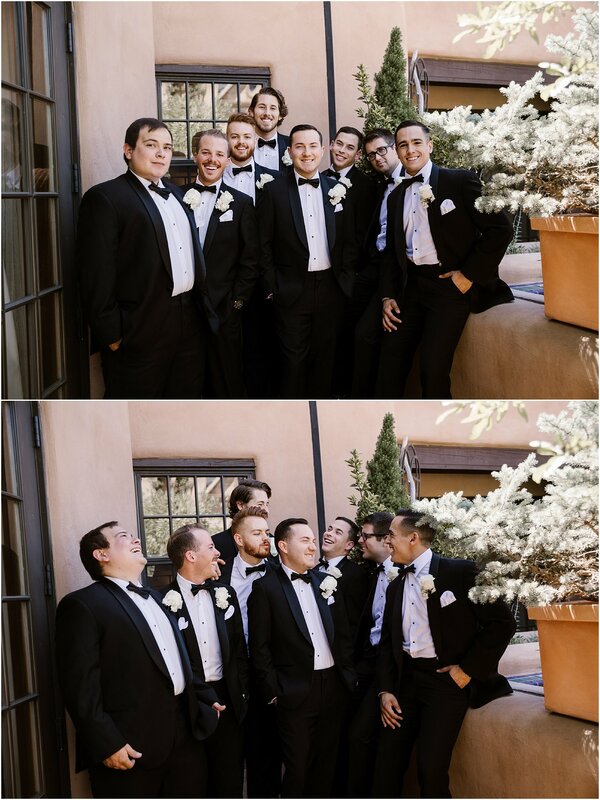 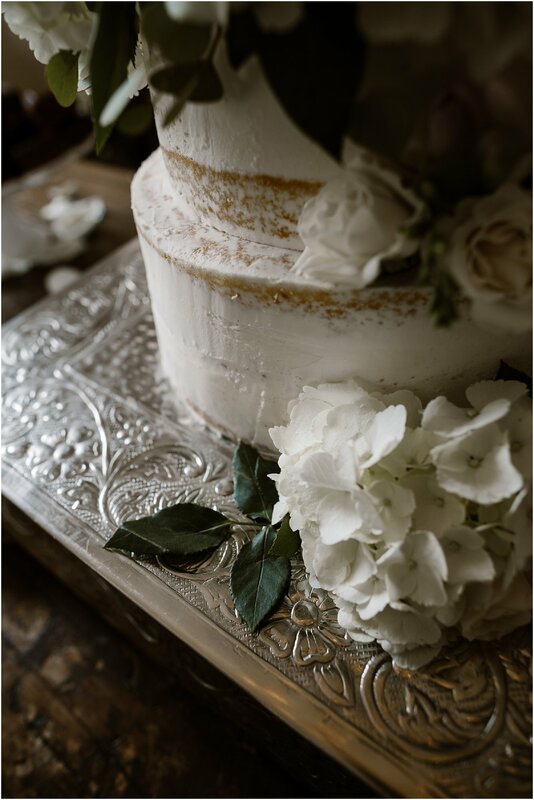 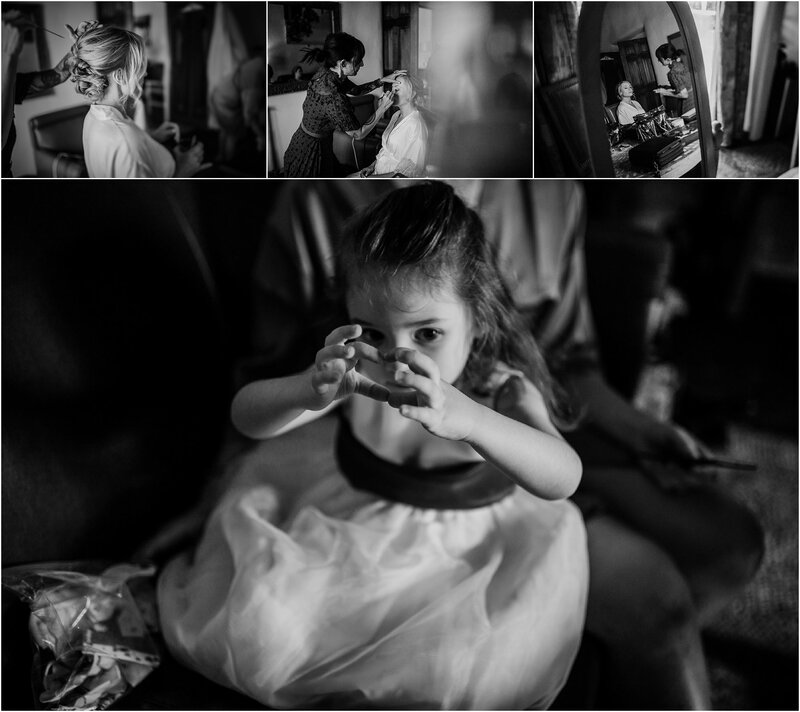 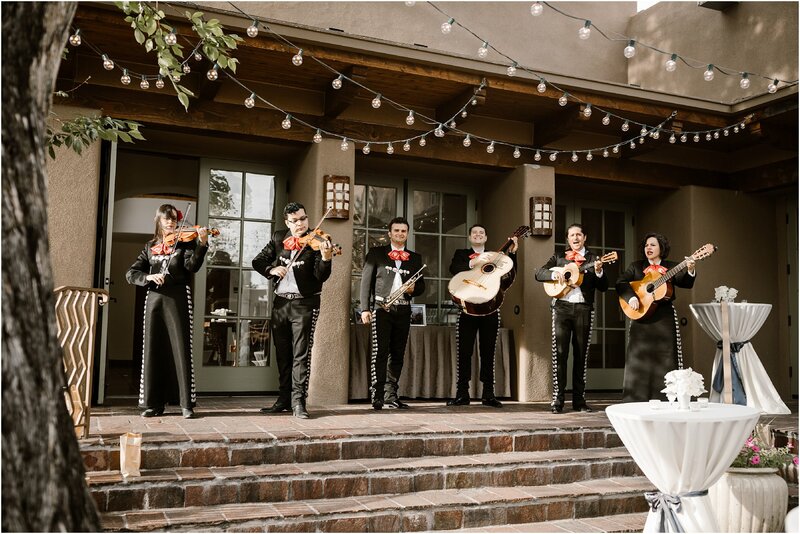 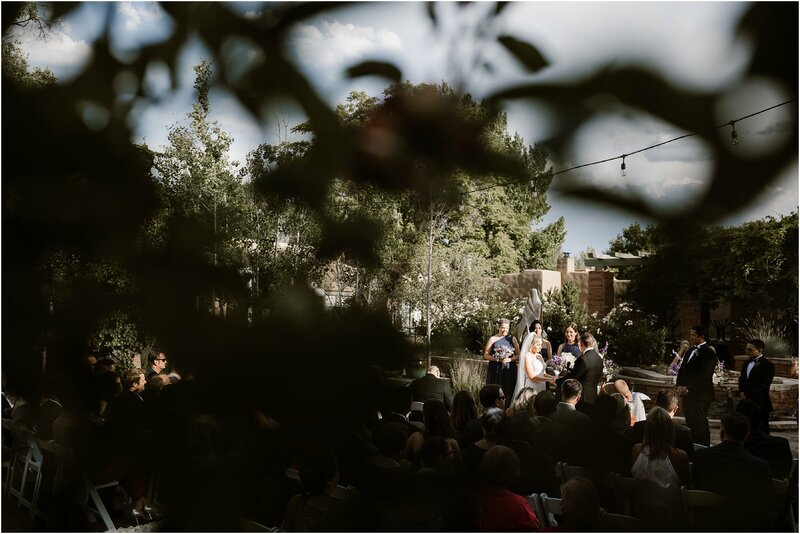 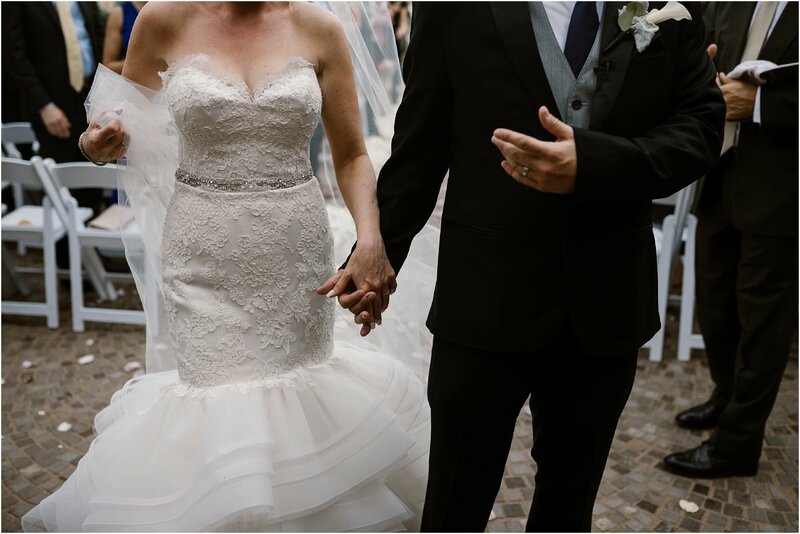 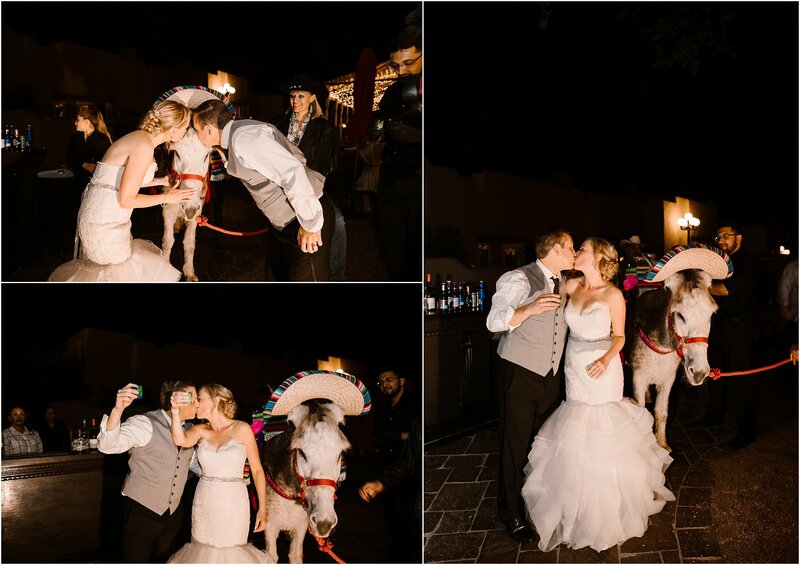 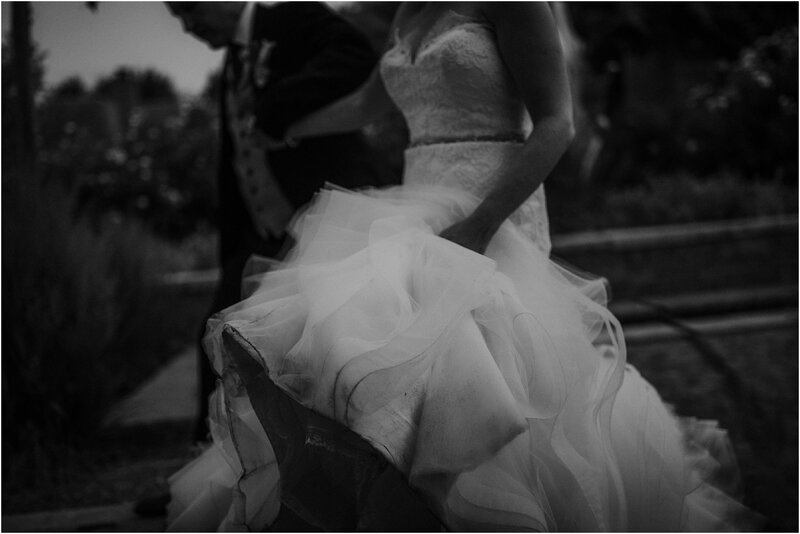 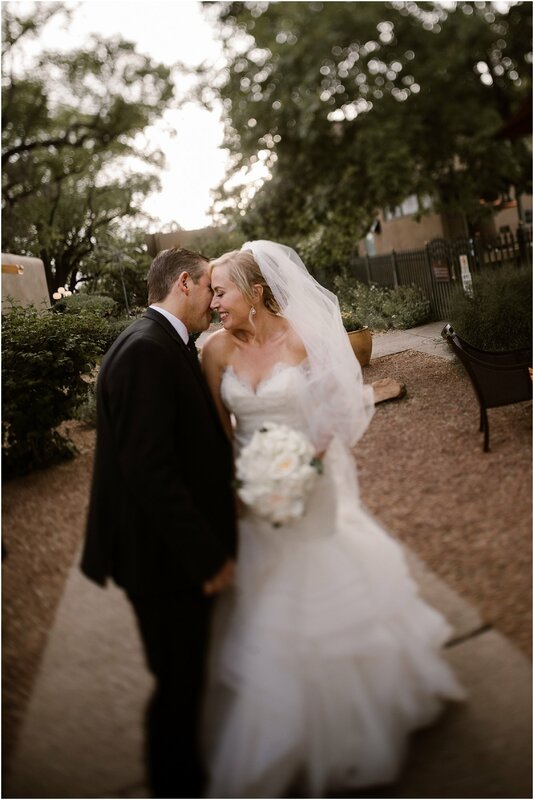 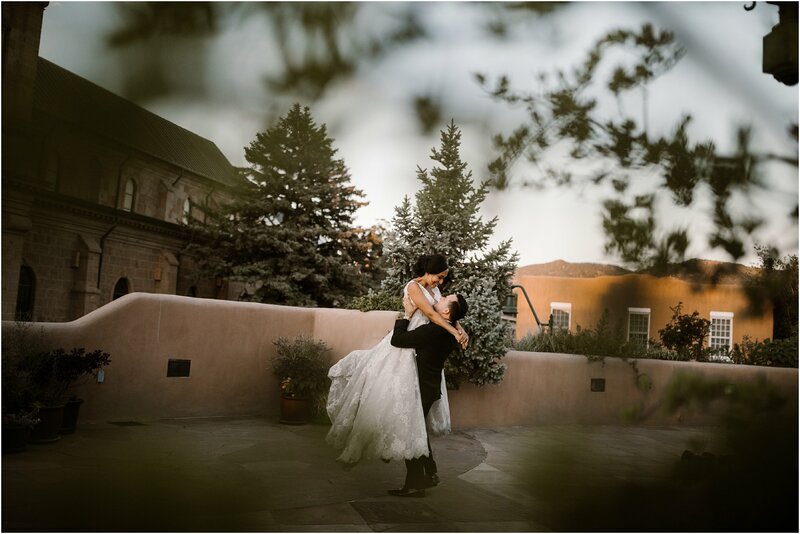 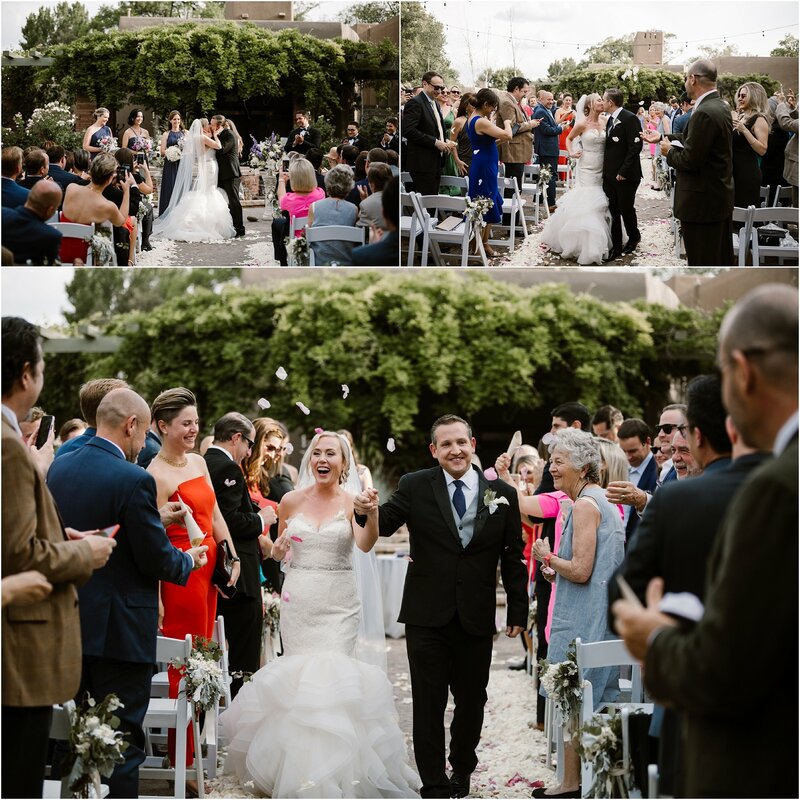 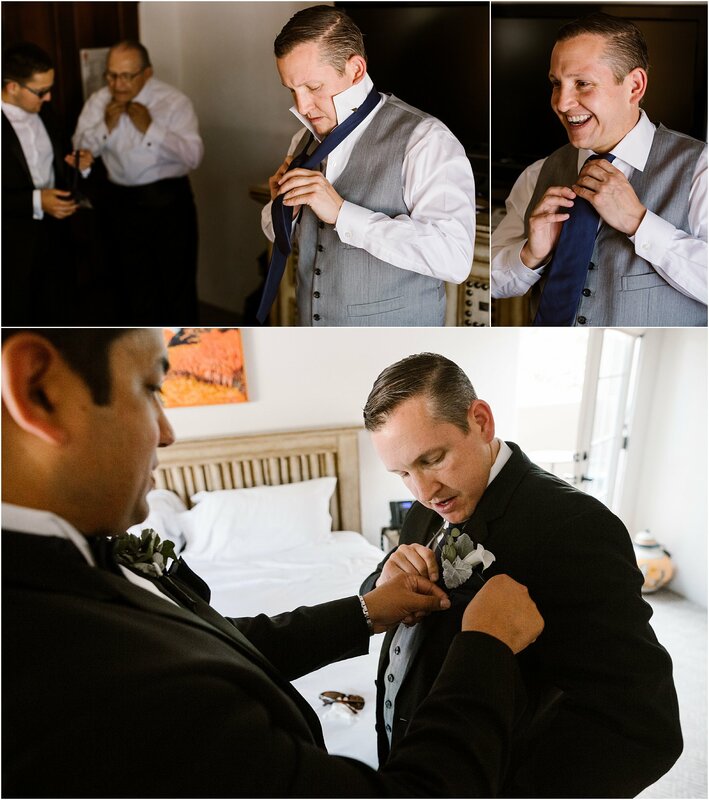 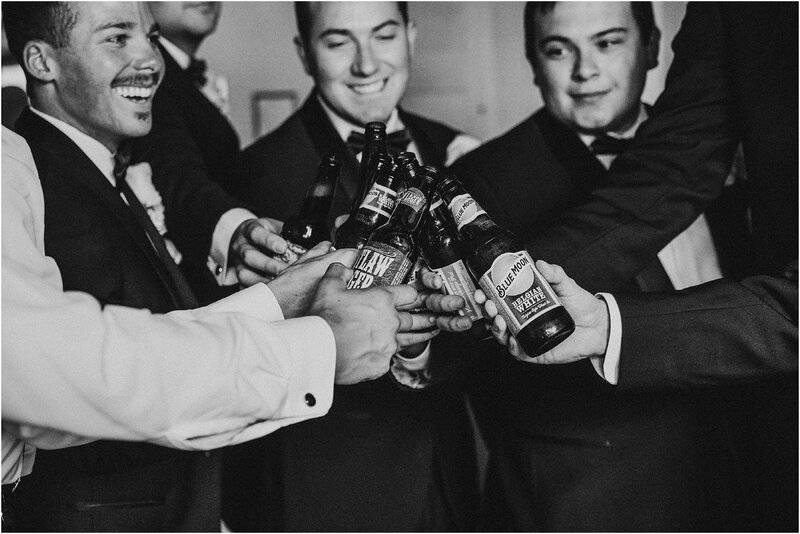 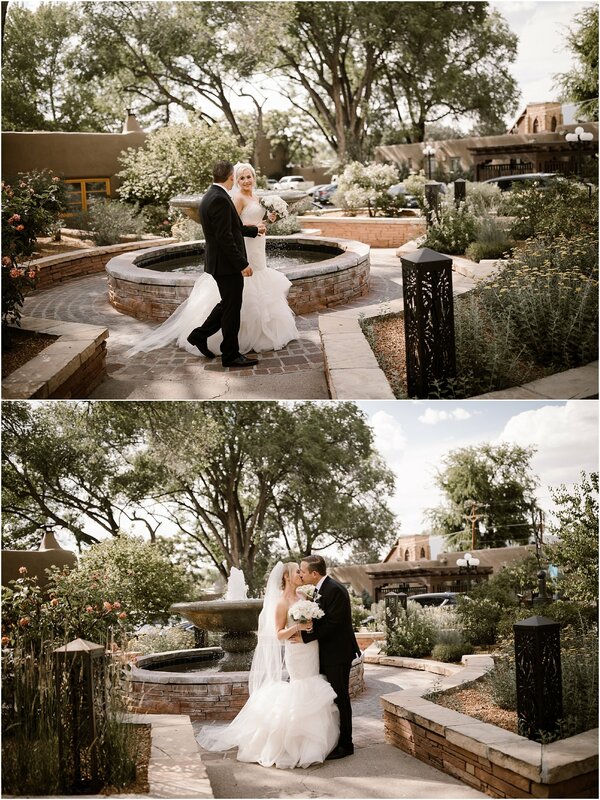 We love outdoor weddings, and Jennifer and Pablo’s Santa Fe nuptials is no exception. 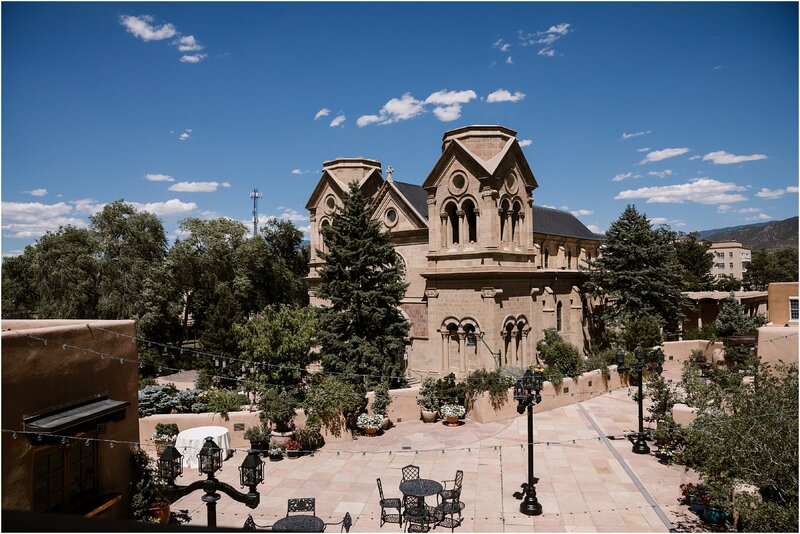 There is not a city that can compare to Santa Fe and La Posada de Santa Fe is the only resort located in the midst of it all downtown. 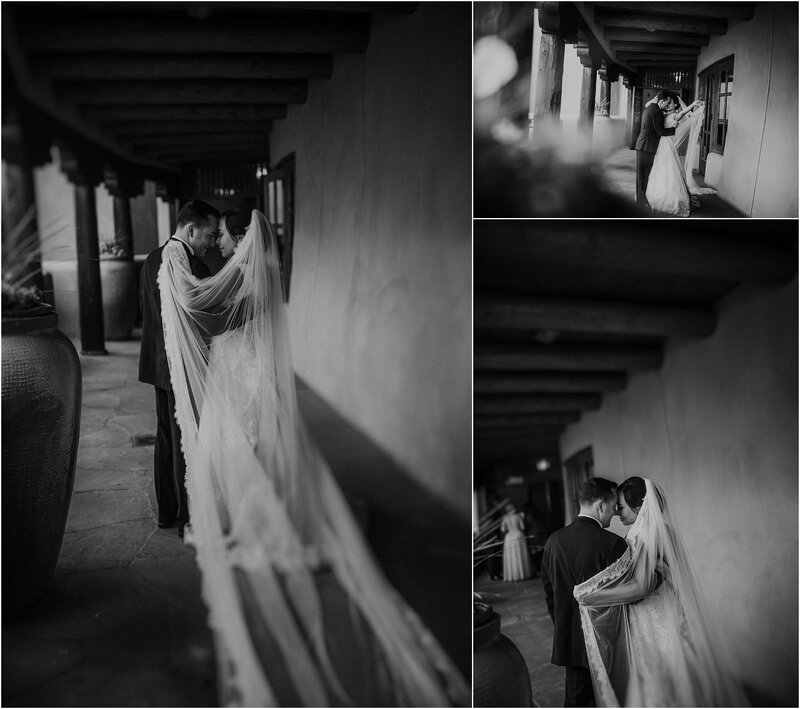 Everywhere we turned, picturesque, tranquil moments happened. 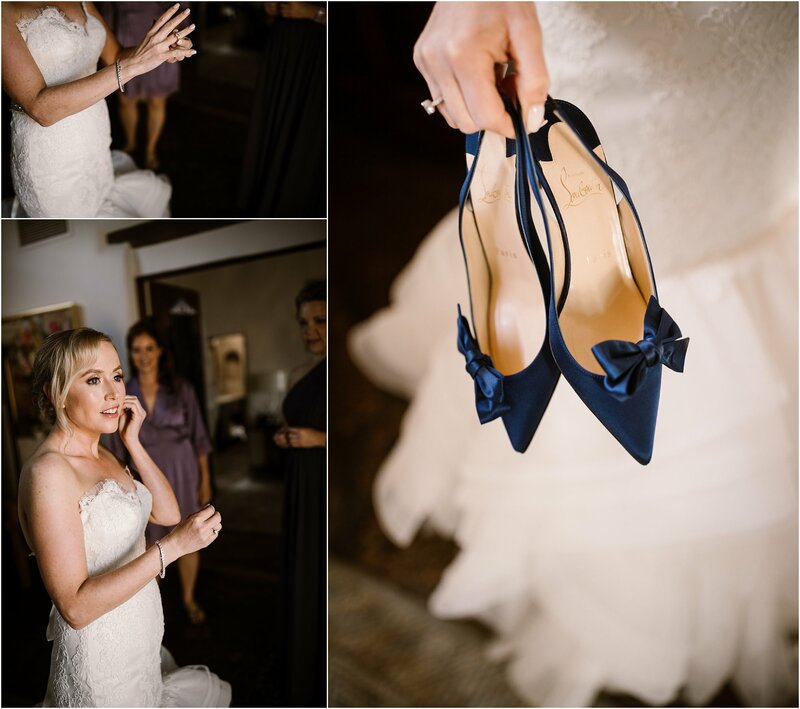 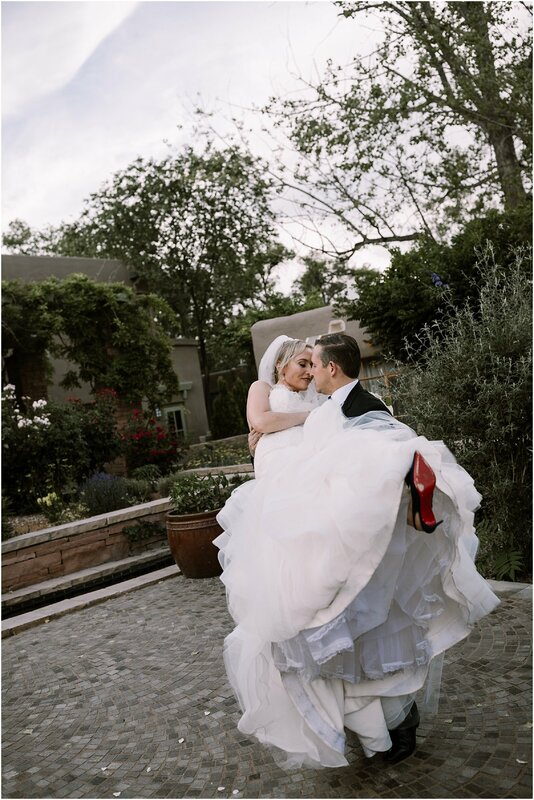 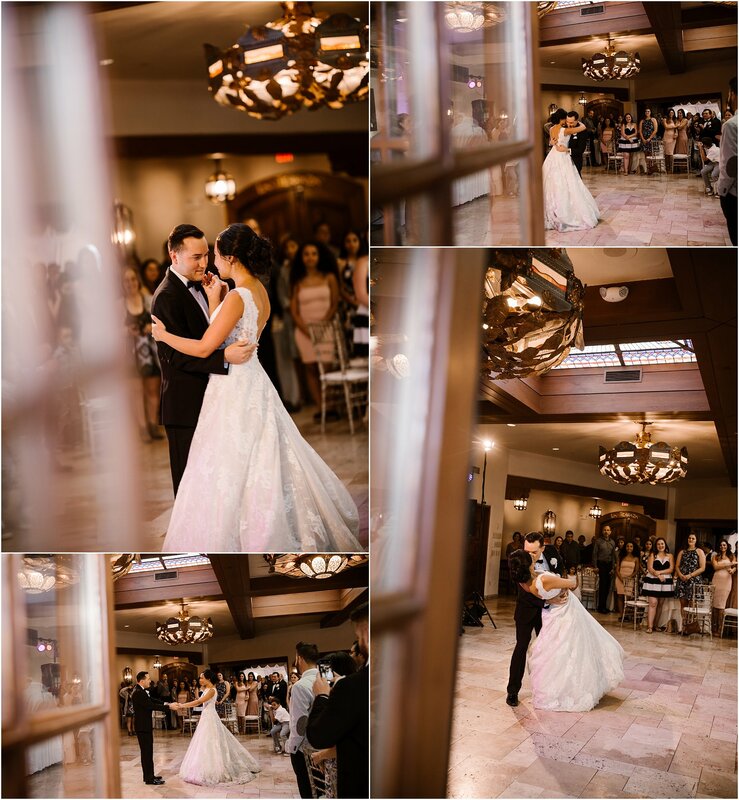 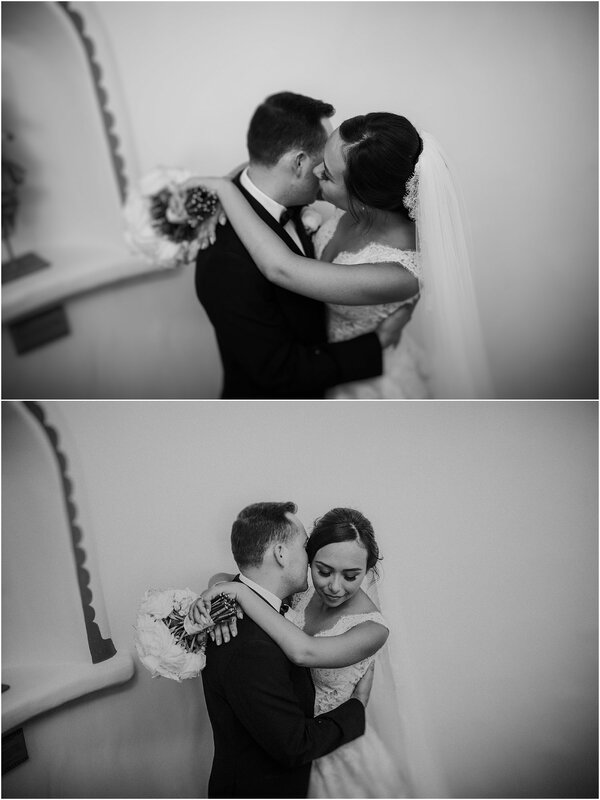 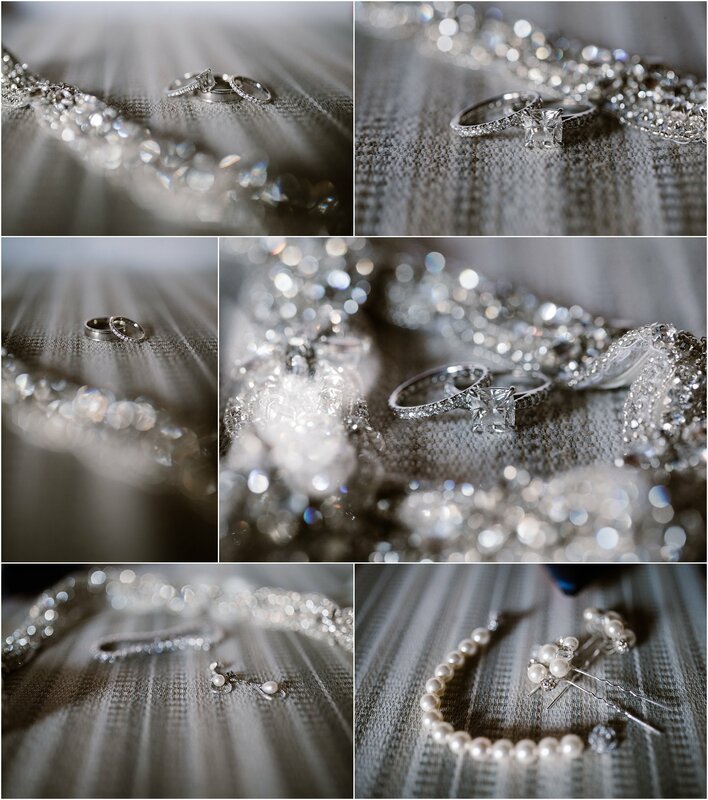 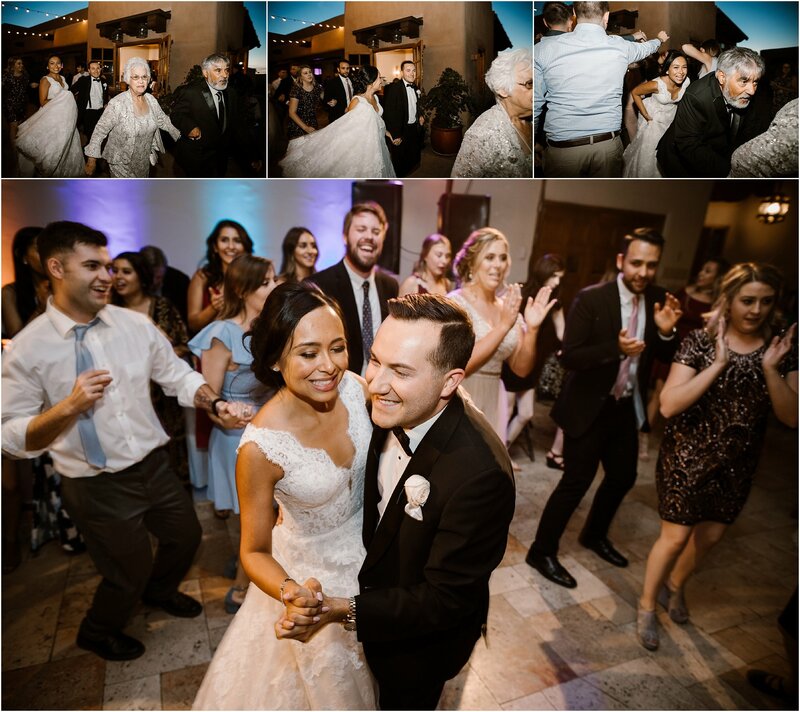 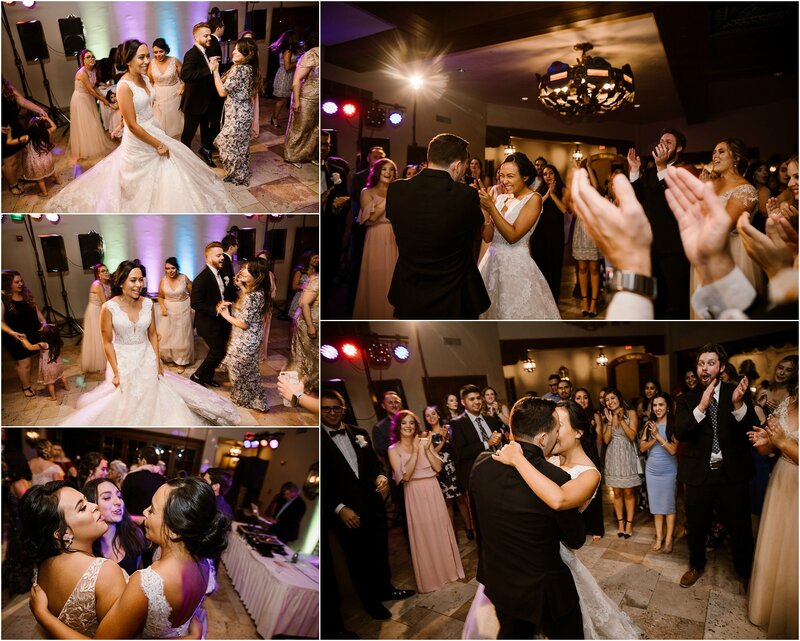 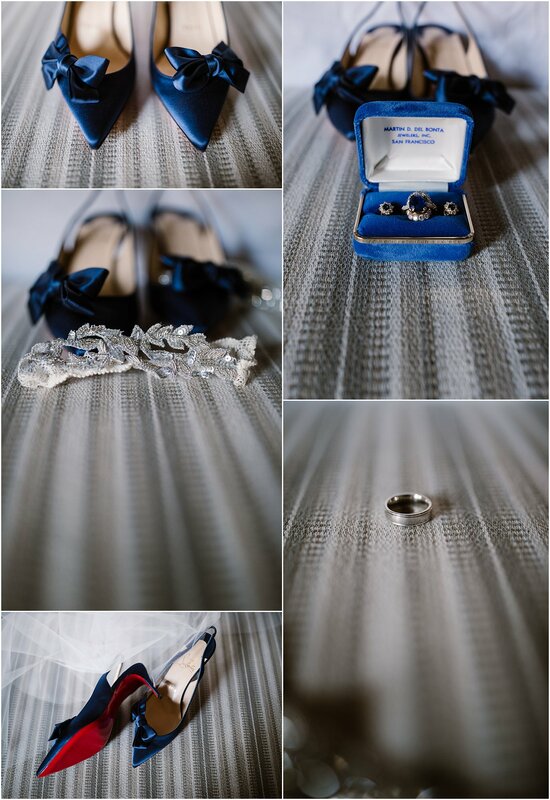 The day was magical, romance was intensified and this wedding bottled up those sentiments and infused them with a sense of joy you can literally feel looking at their photos. 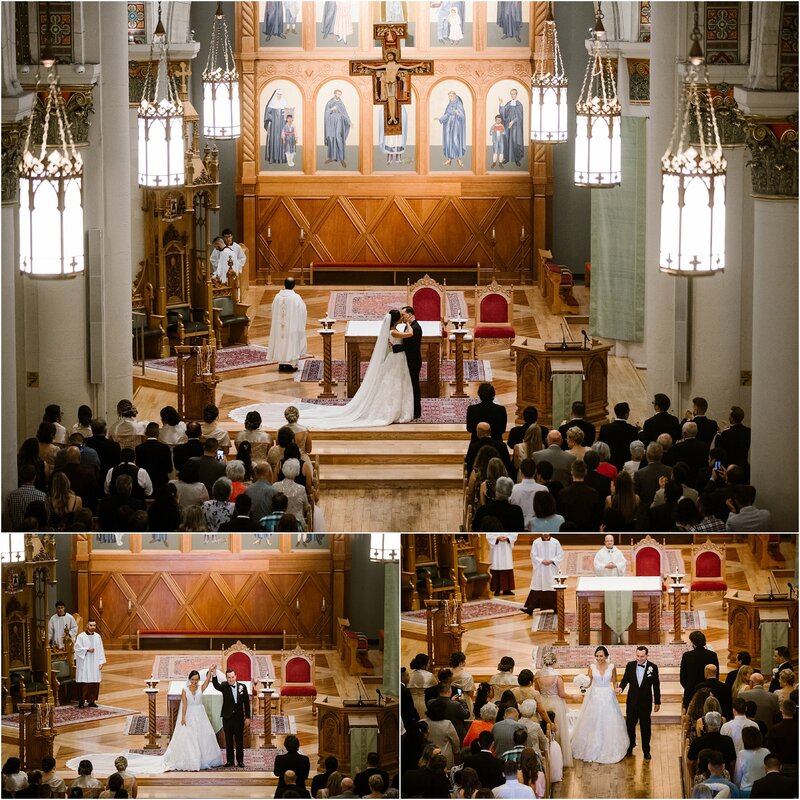 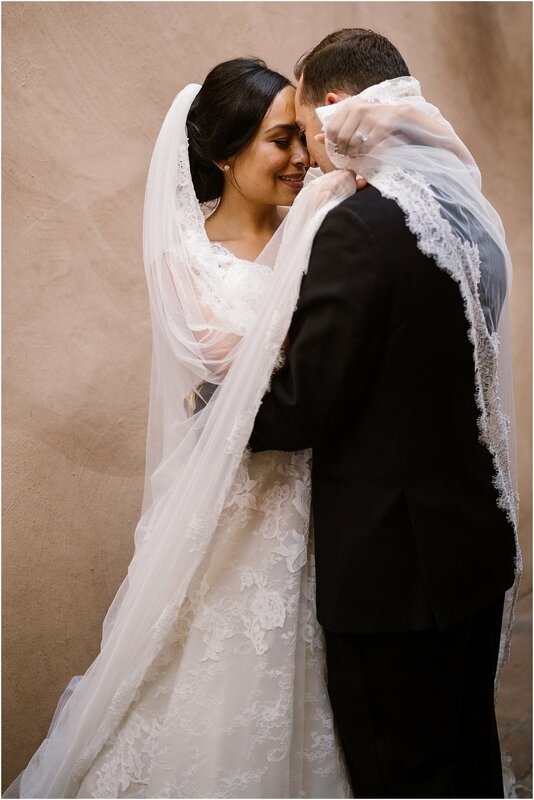 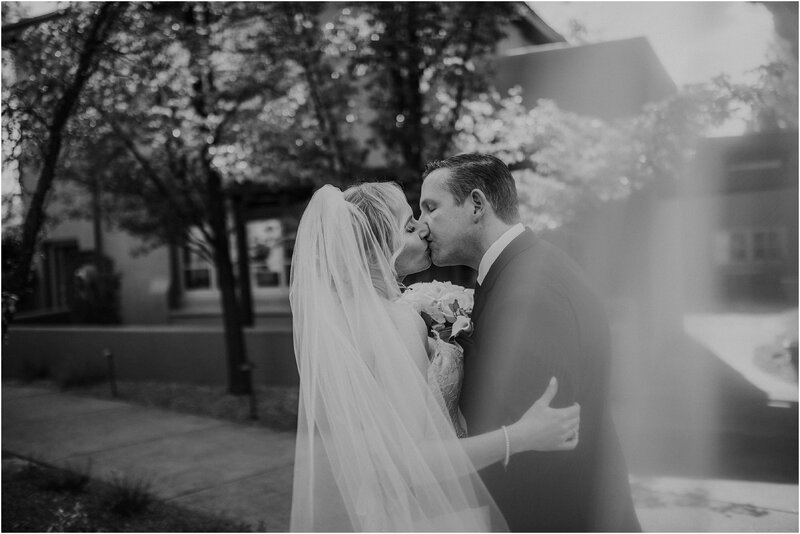 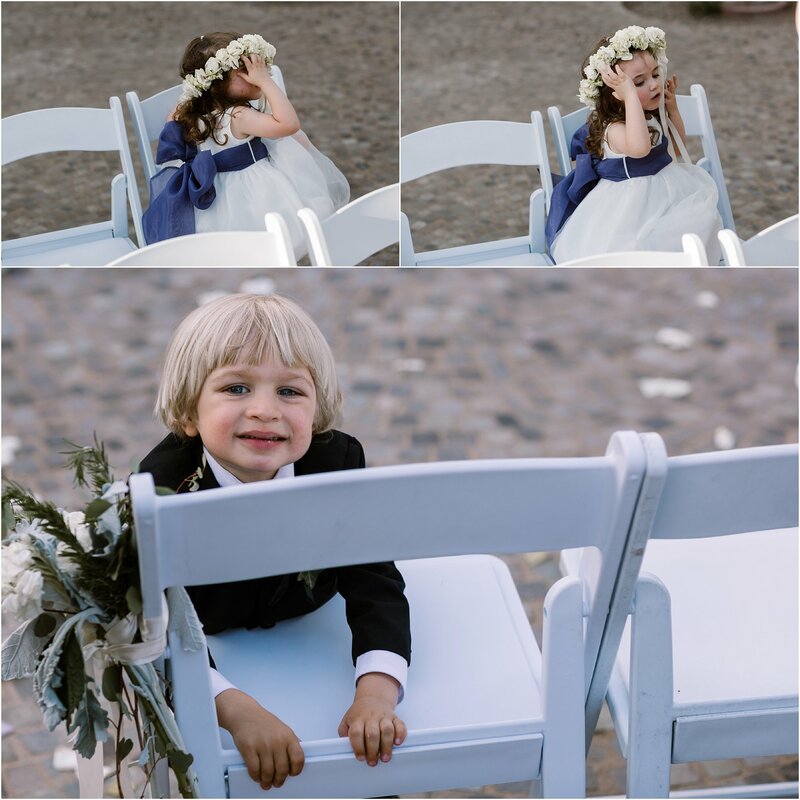 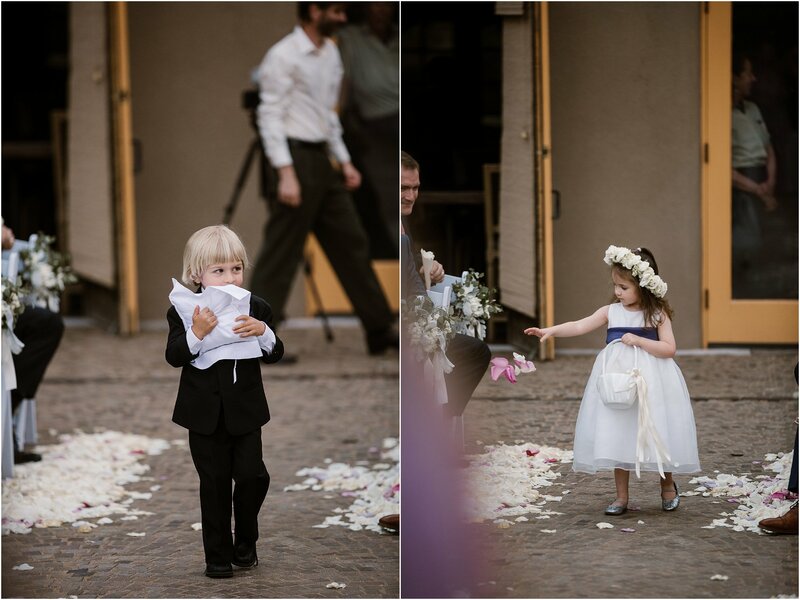 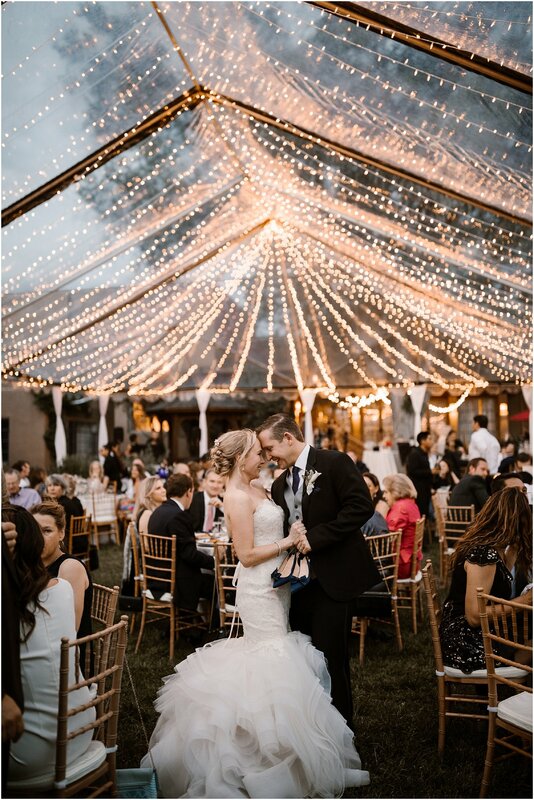 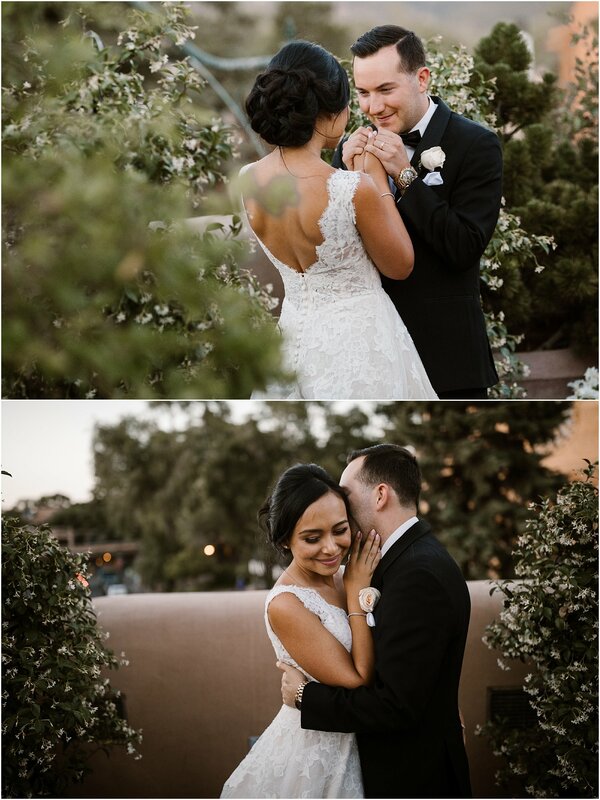 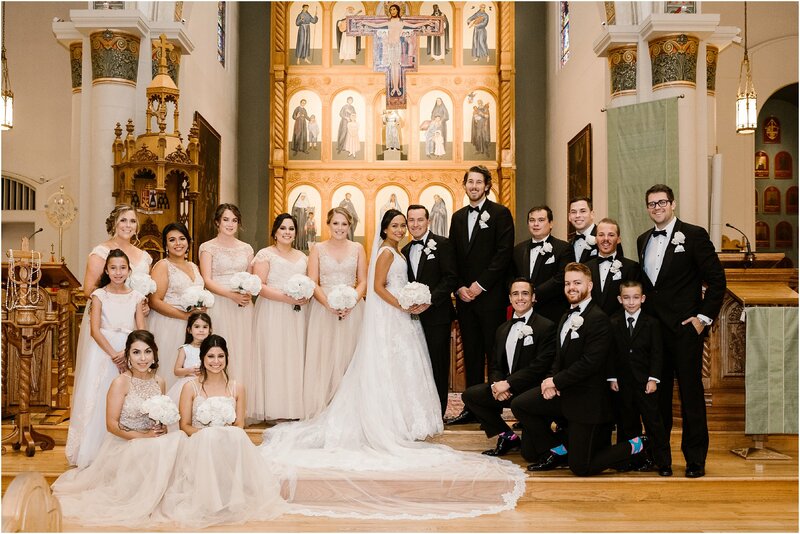 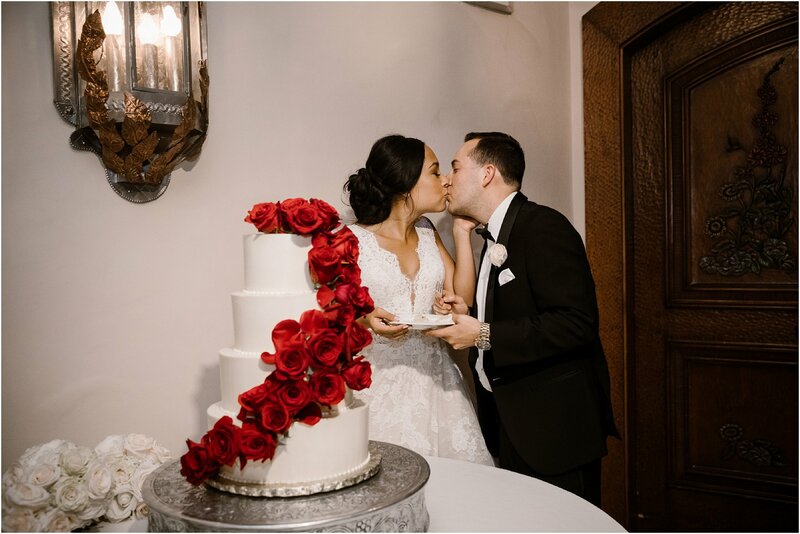 We were so lucky to be a part of their beautiful day! 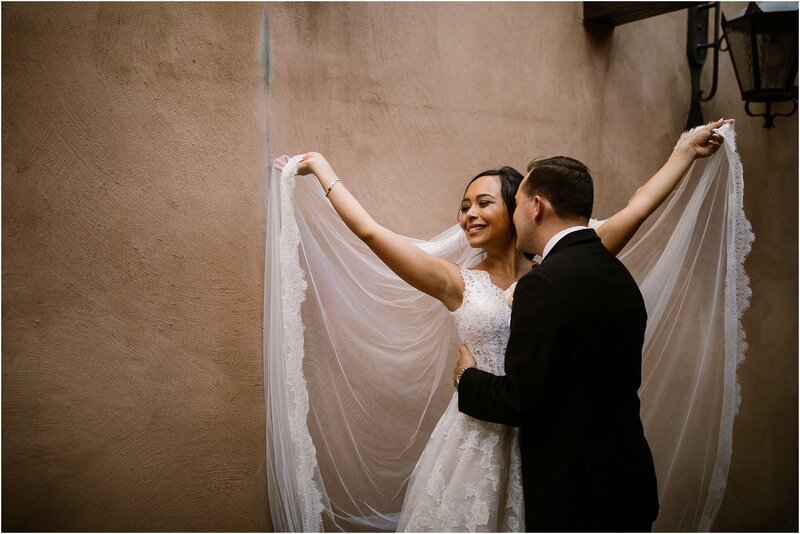 Mariah met Austin, a UNM law student and Texas native her freshman year at UNM while studying pharmacy. 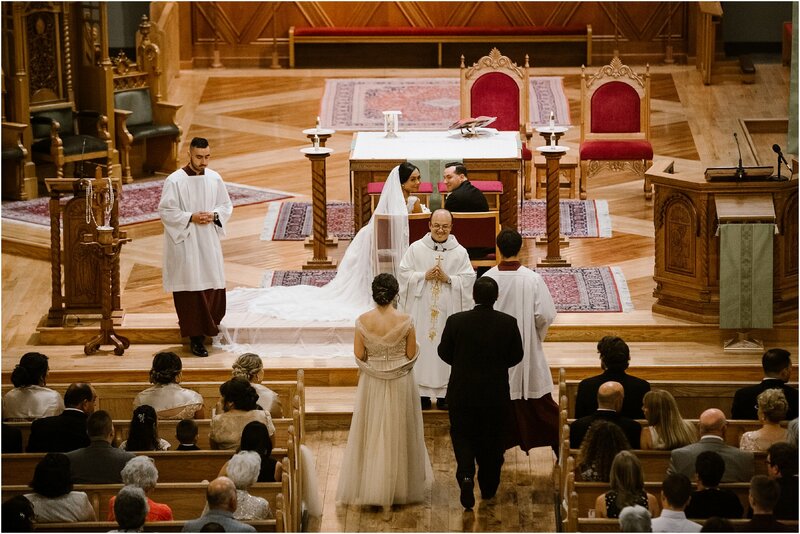 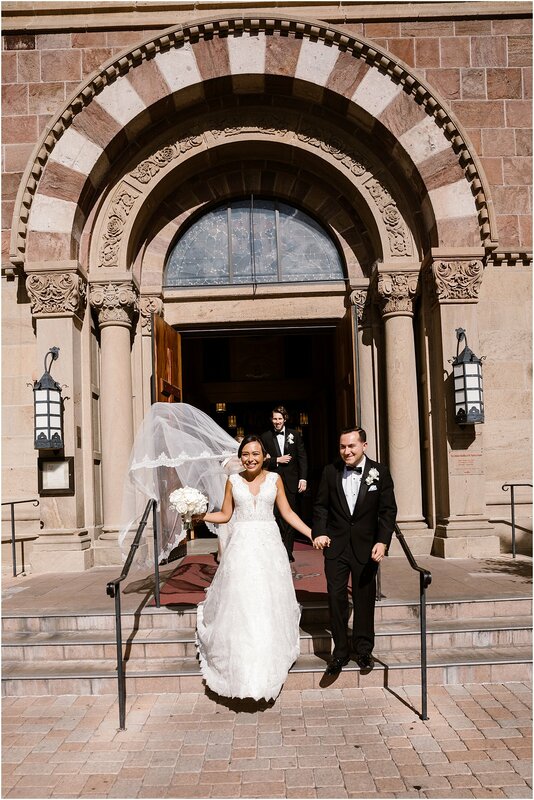 At semesters end, the couple stayed in touch throughout the summer while Mariah traveled abroad. 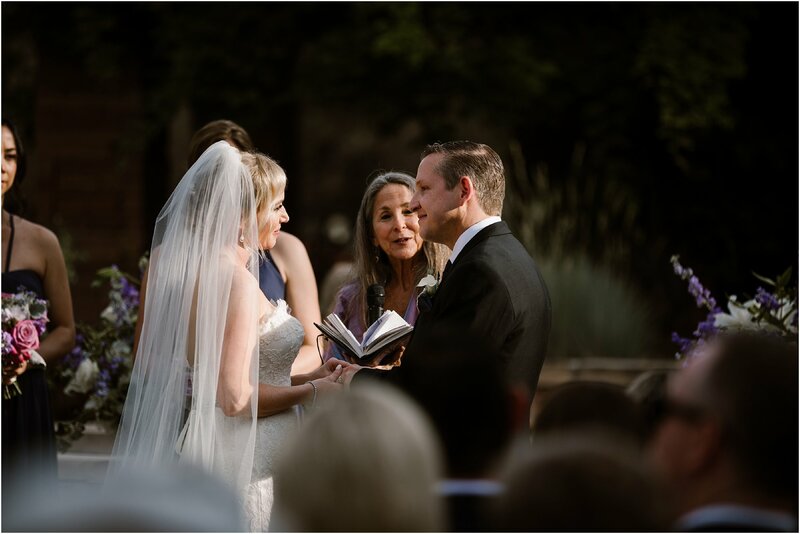 Their relationship flourished as their time apart was spent getting to know each other through text and videos. 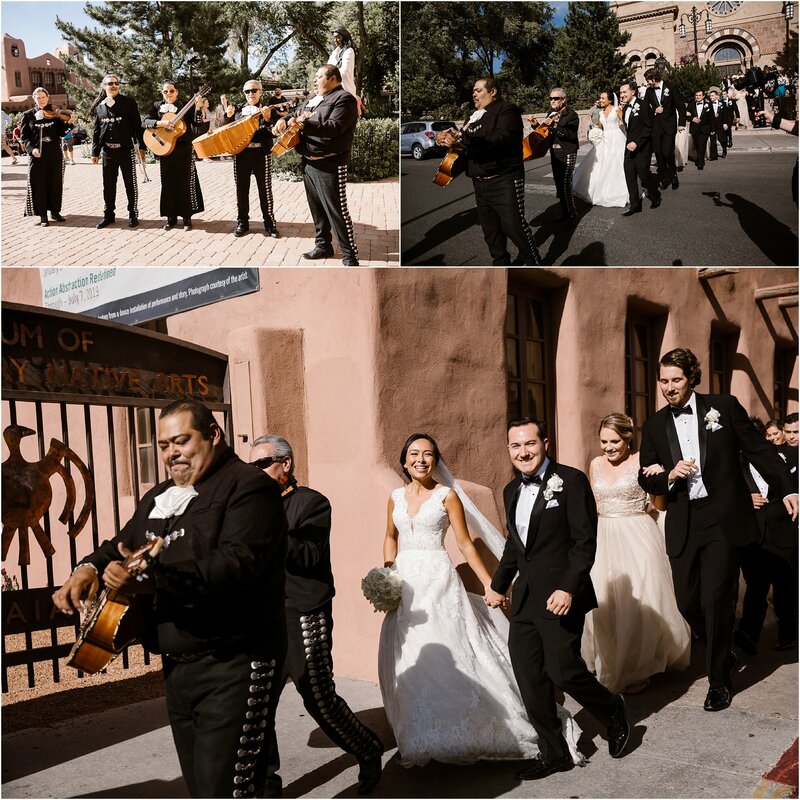 Upon returning to Albuquerque to finish the school year, the couple has been inseparable ever since. 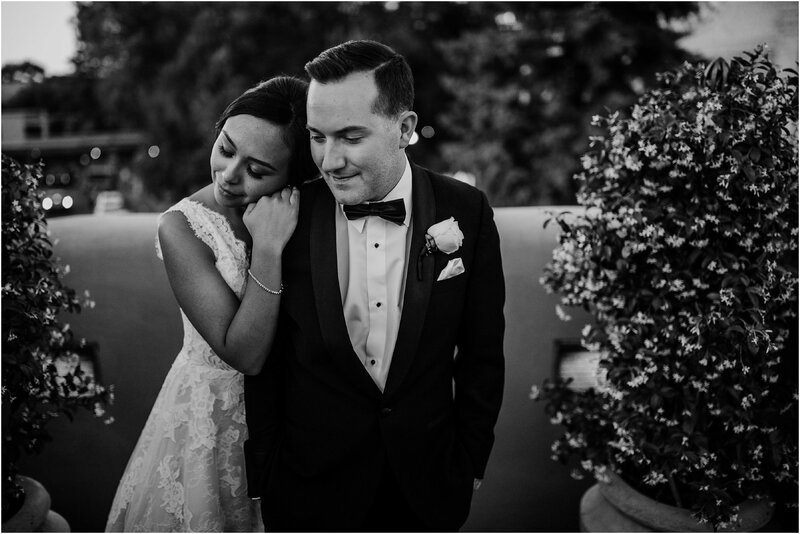 Throughout their relationship, Mariah and Austin have made it a priority to make most amazing memories, the most enduring of which was as they were traveling throughout Europe. 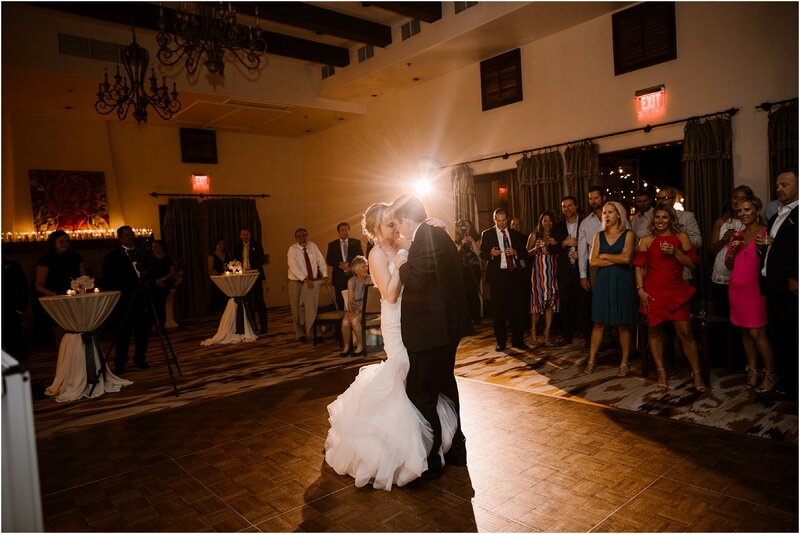 It was in Greece where Austin got down on one knee after serenading her with a newly purchased ukulele! 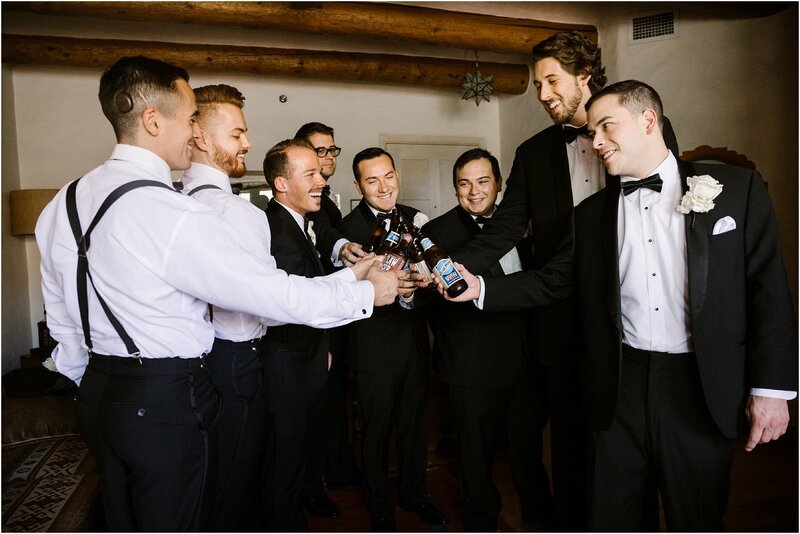 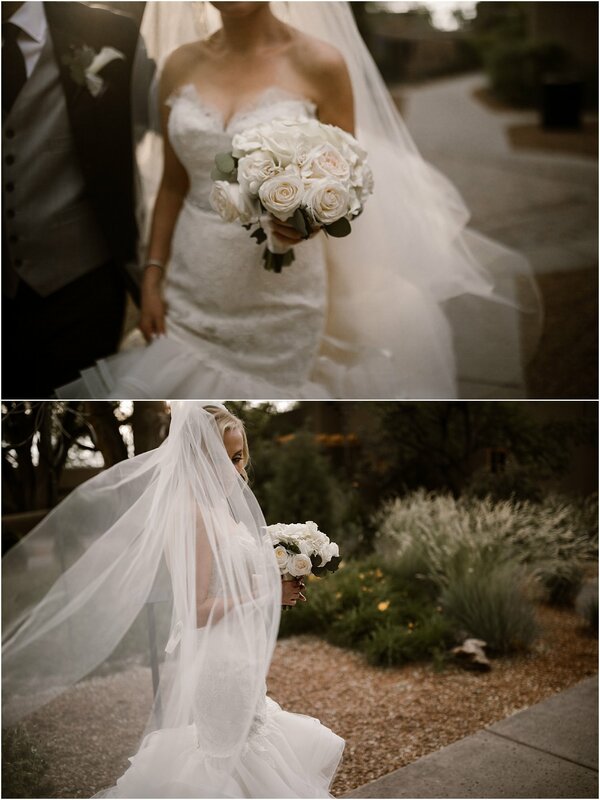 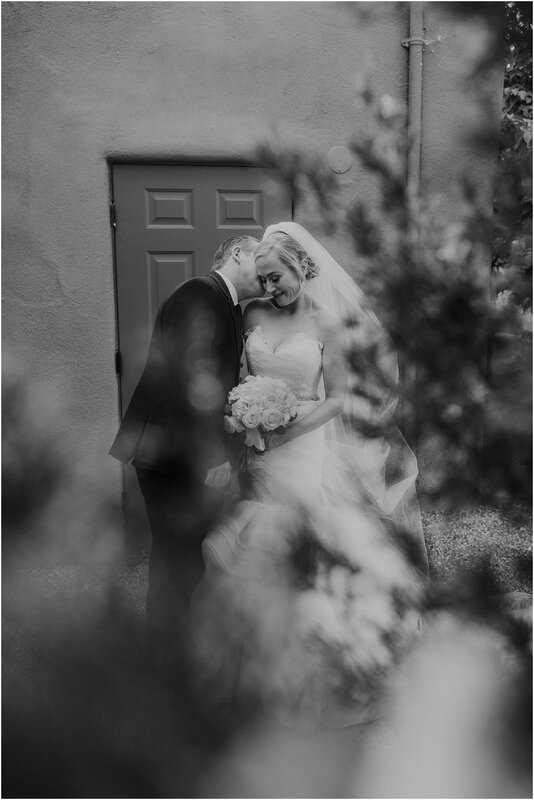 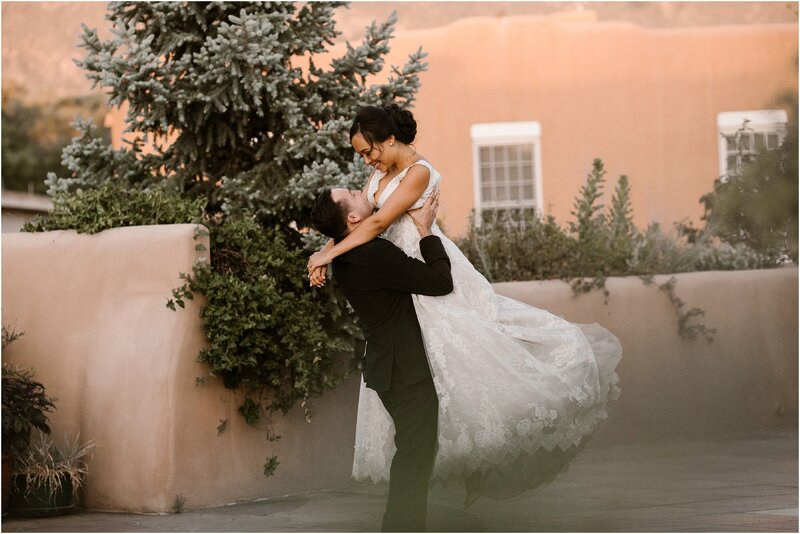 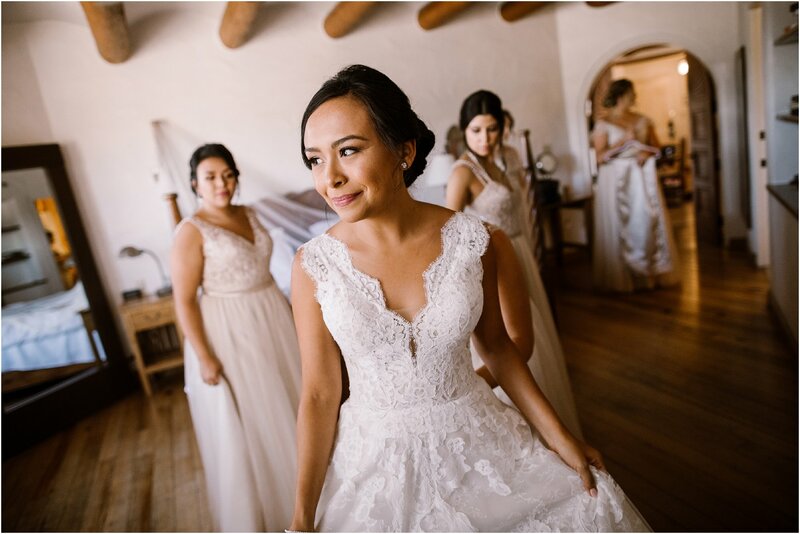 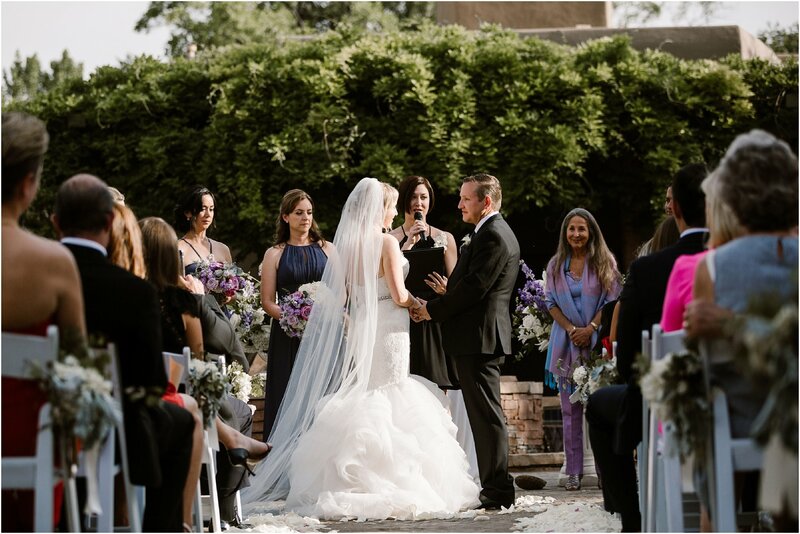 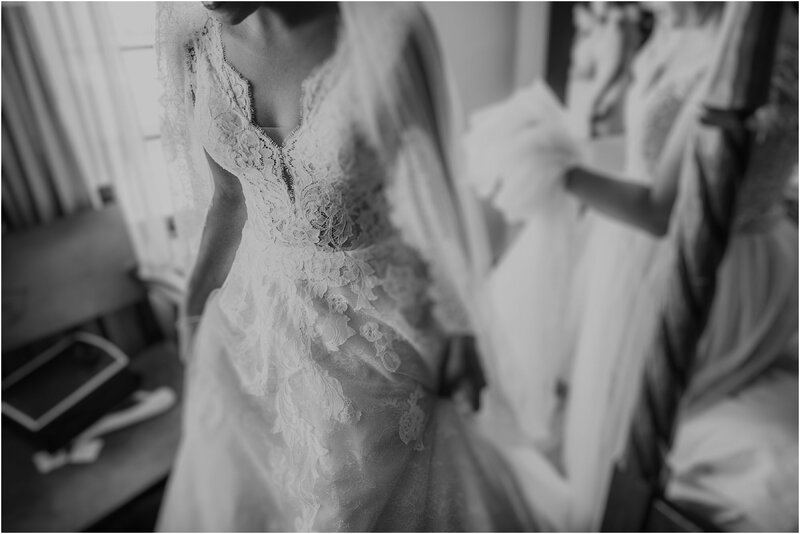 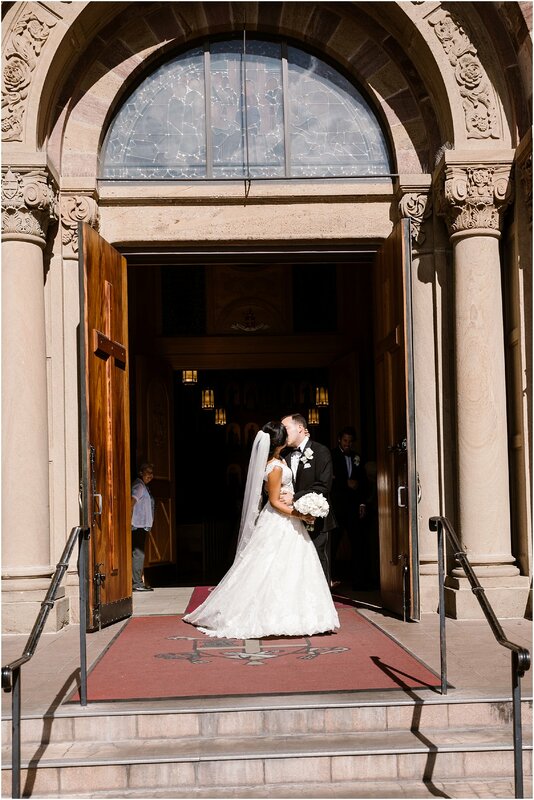 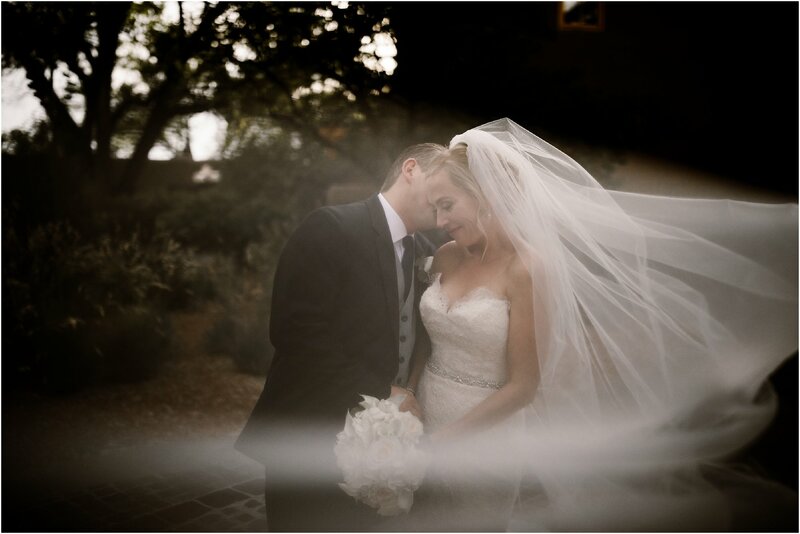 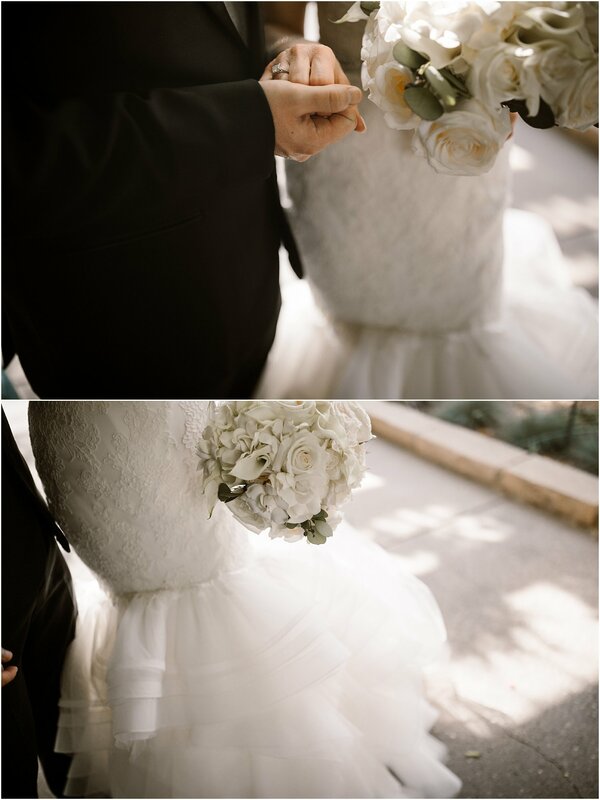 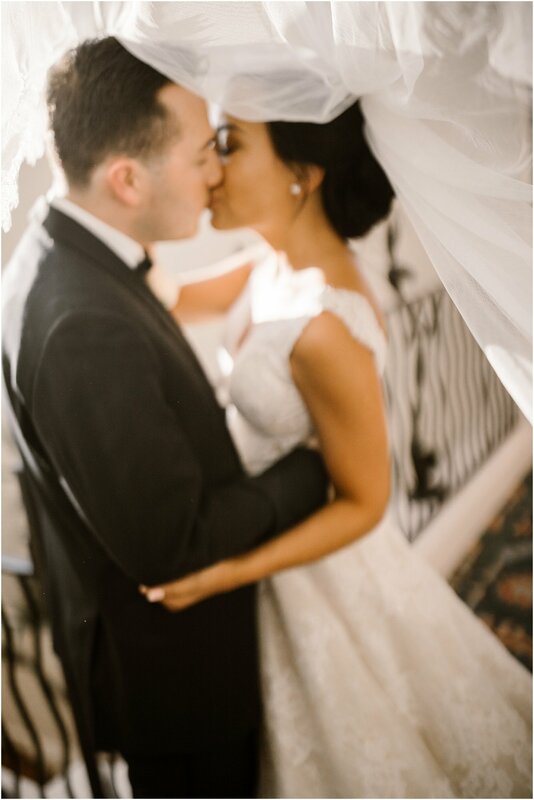 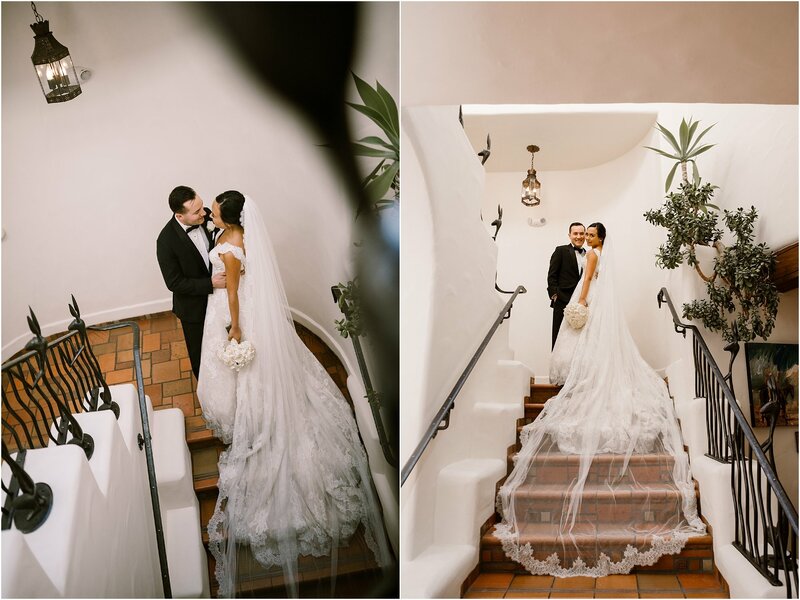 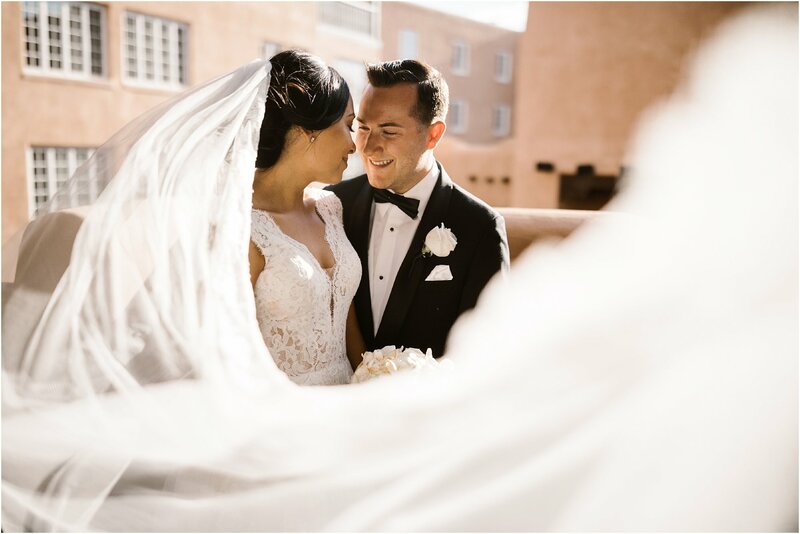 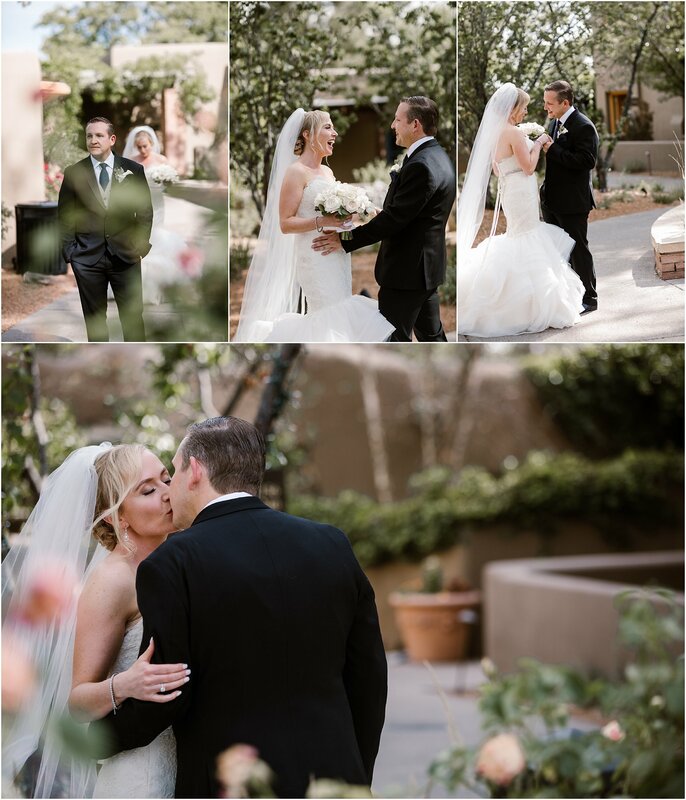 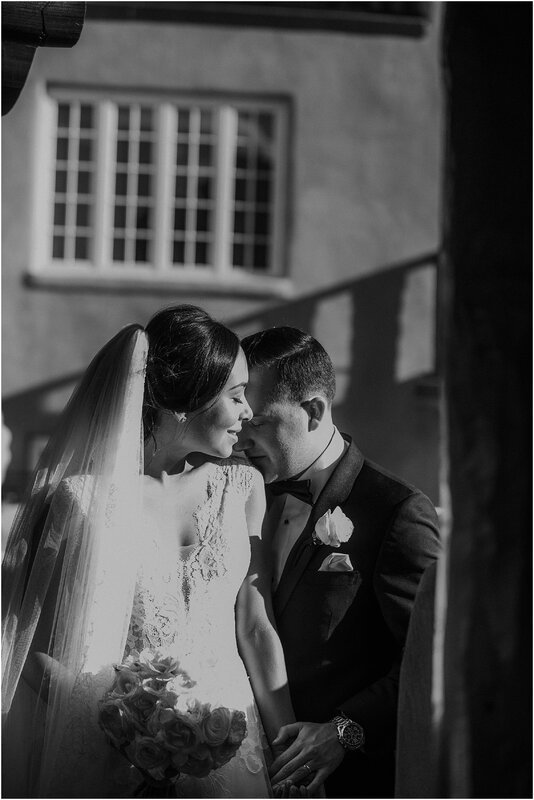 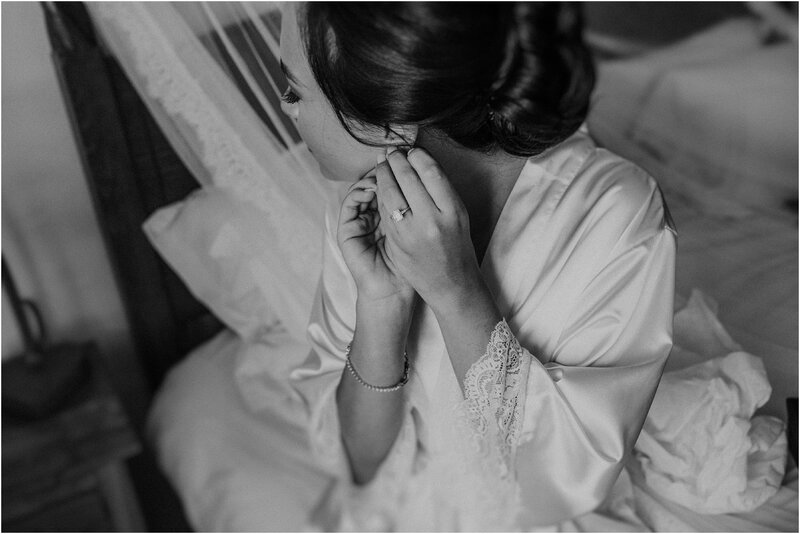 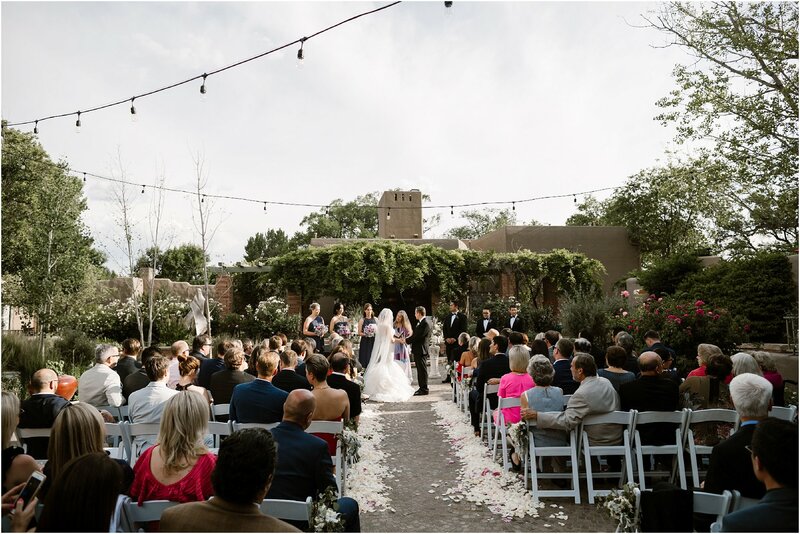 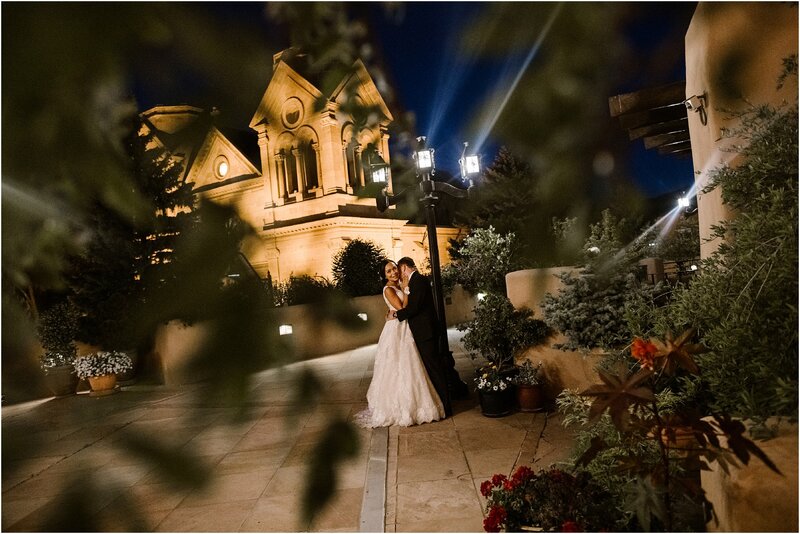 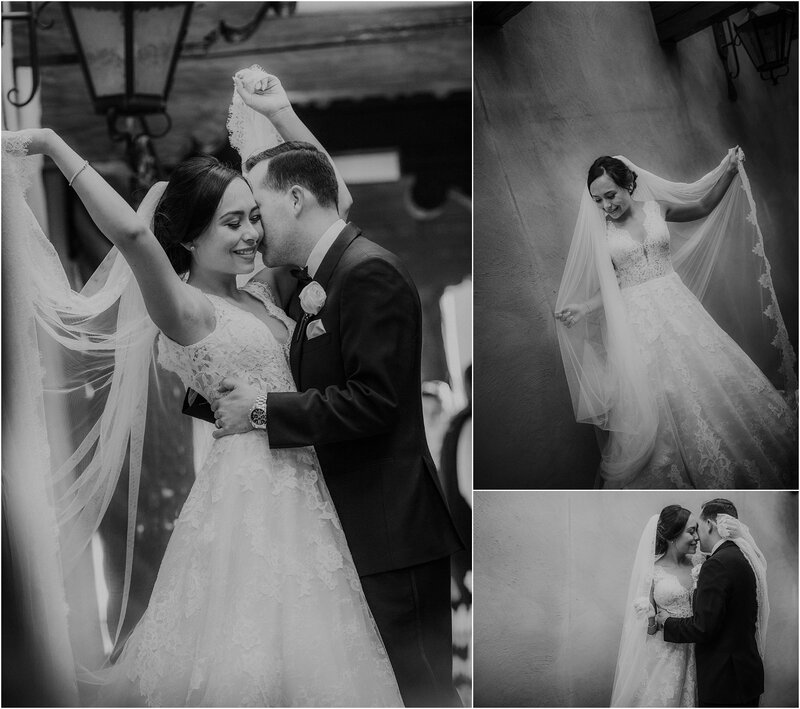 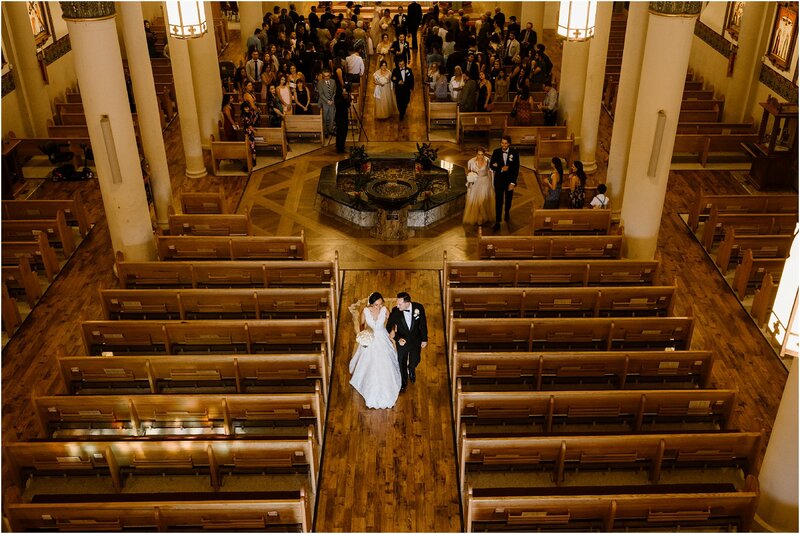 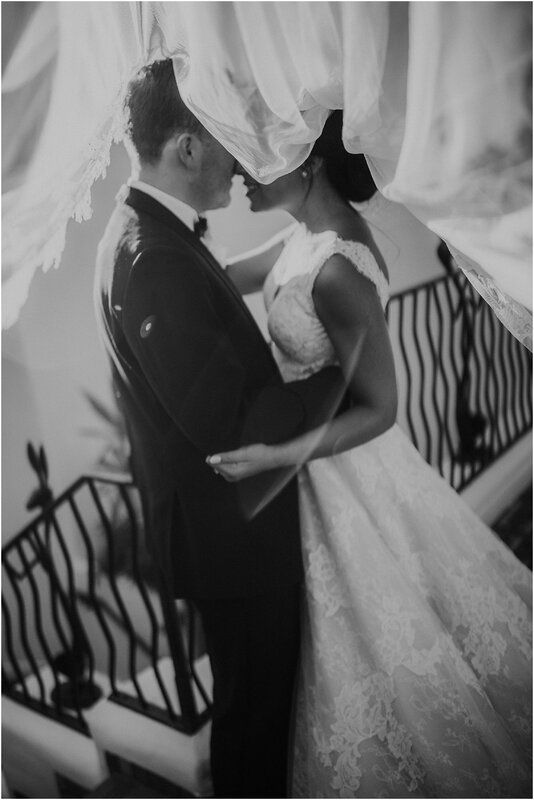 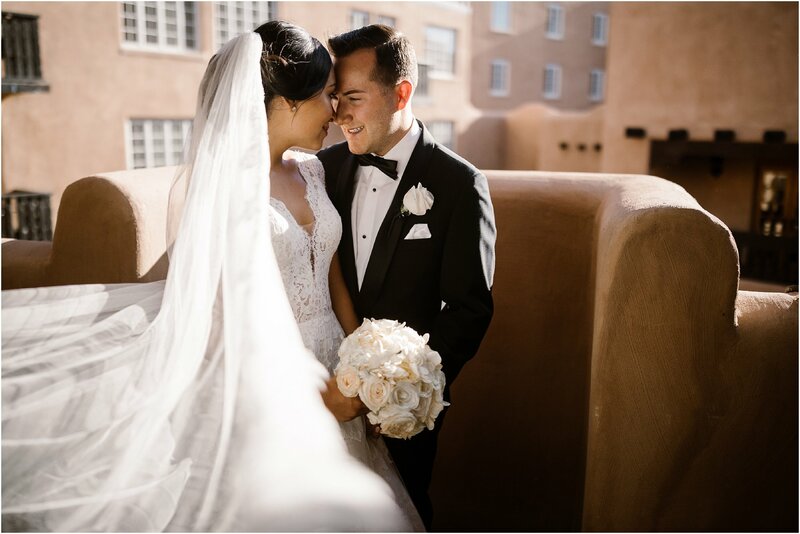 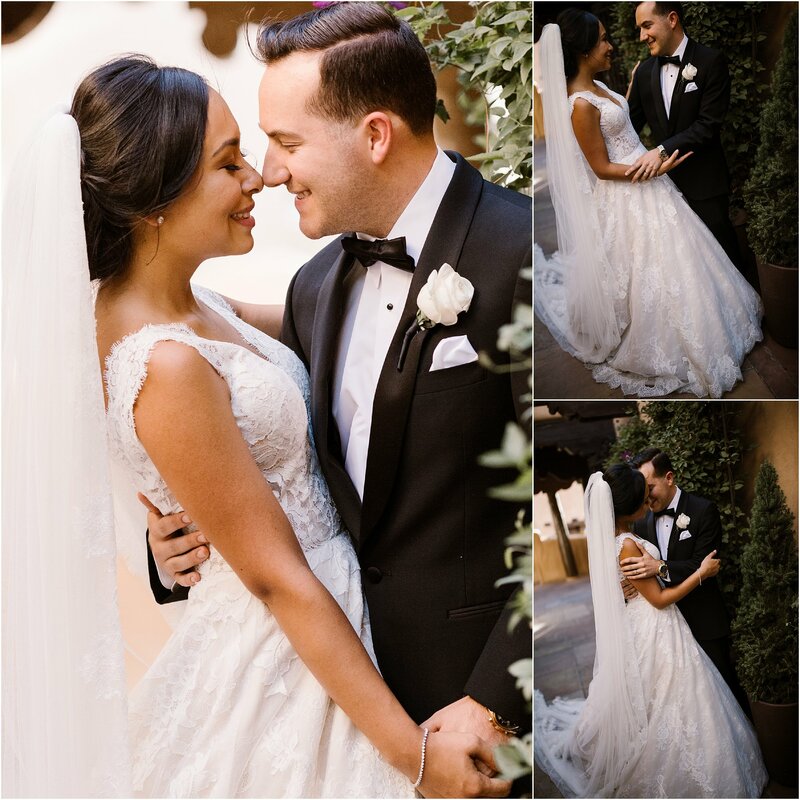 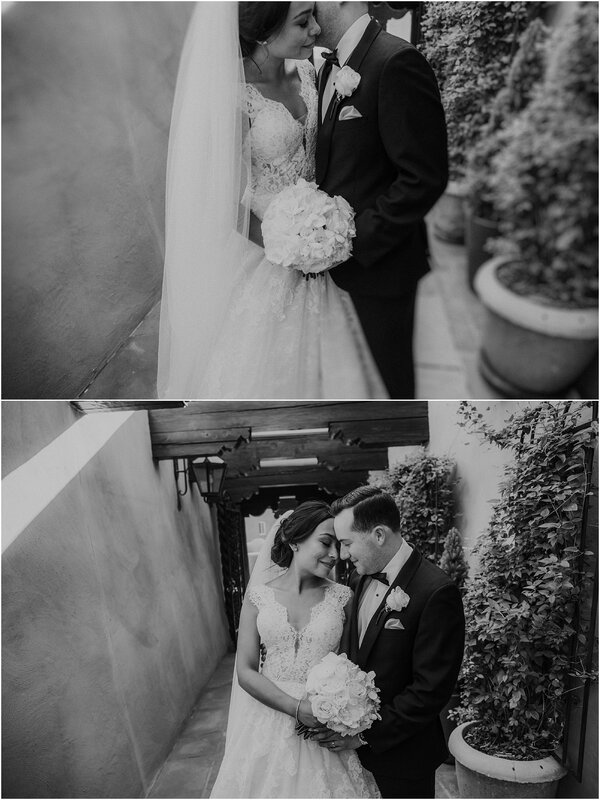 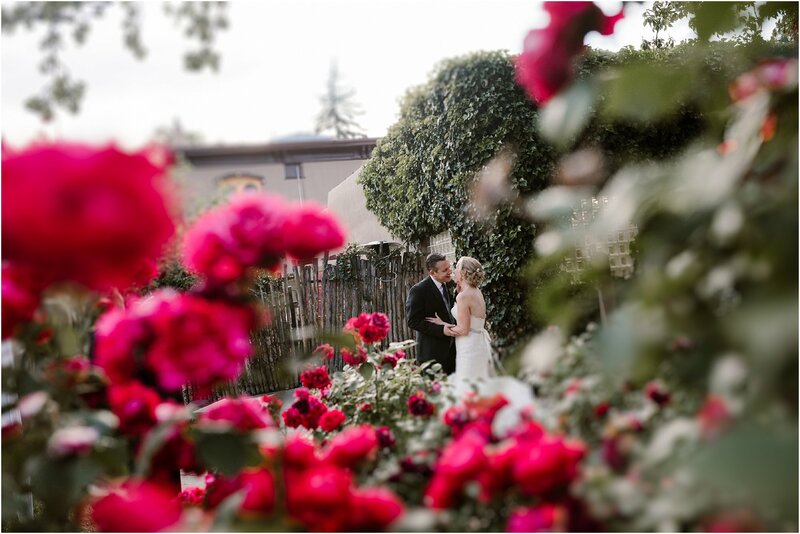 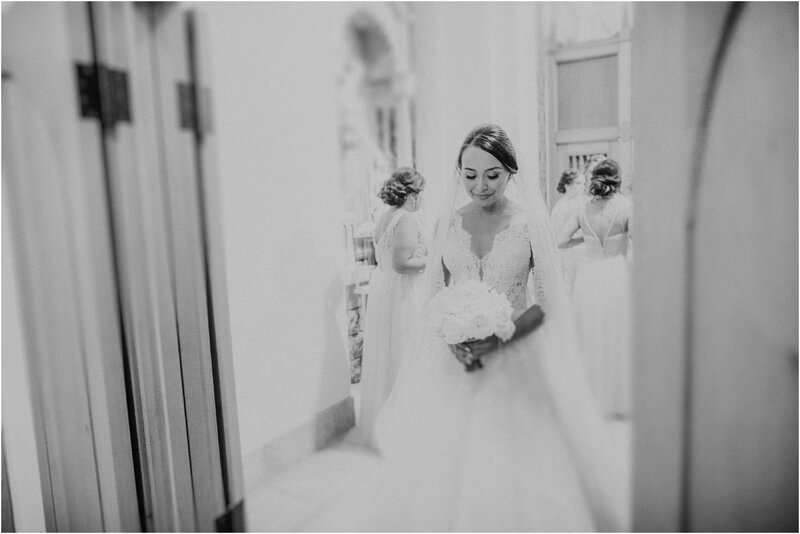 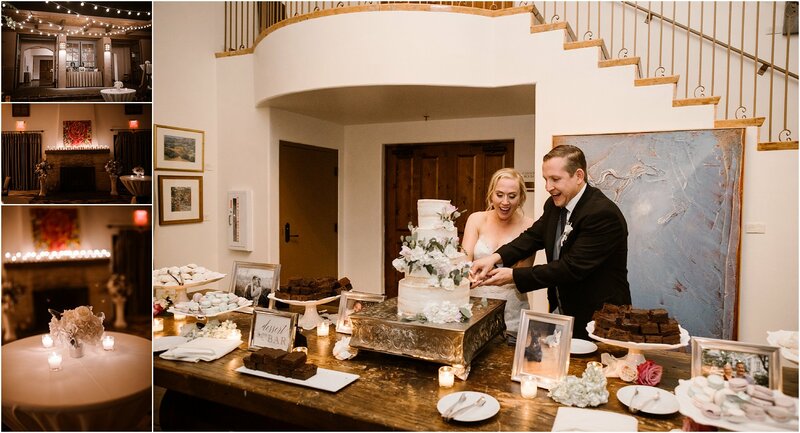 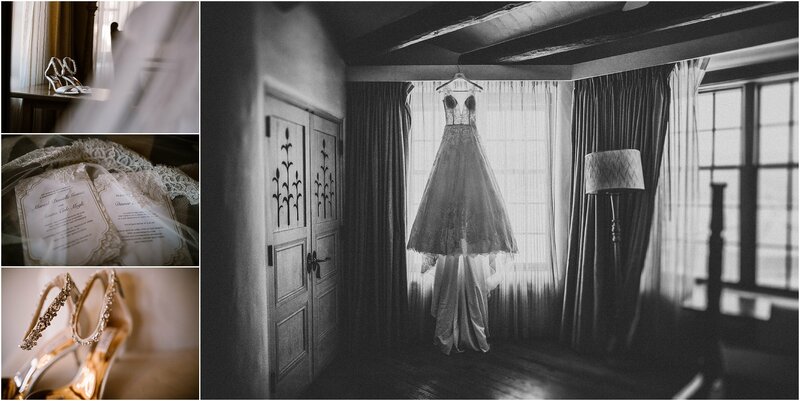 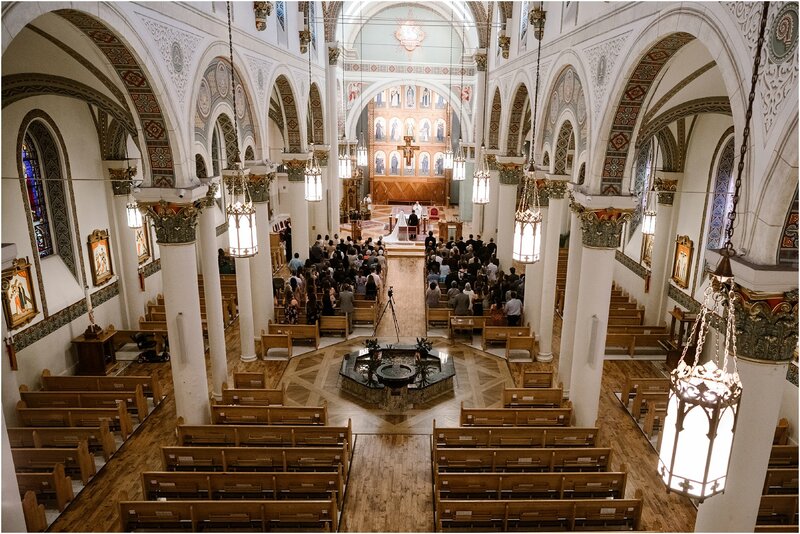 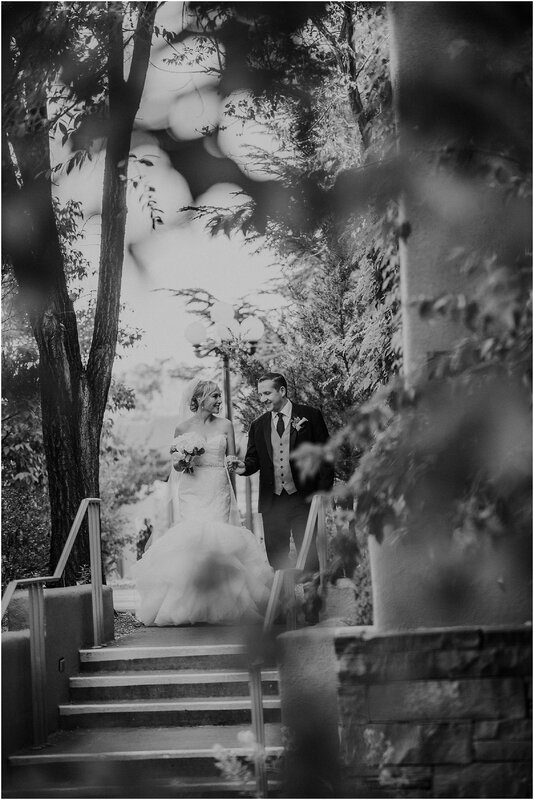 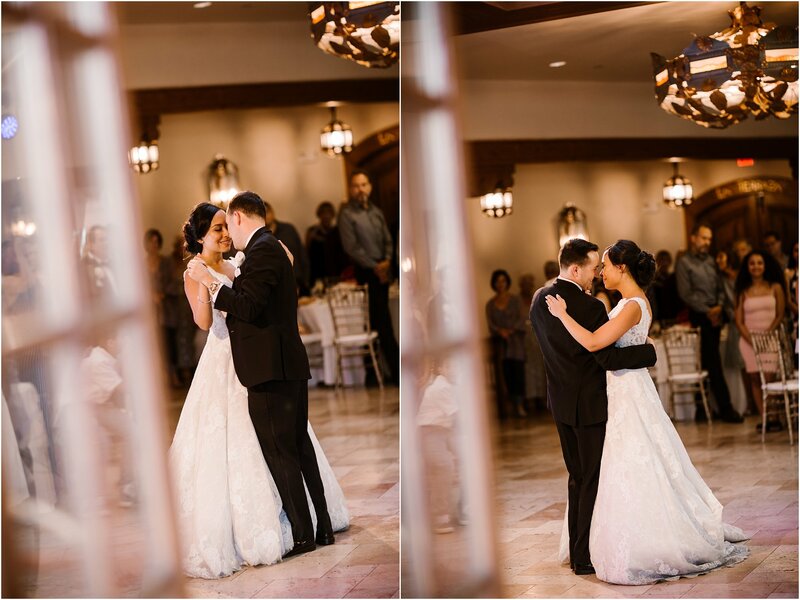 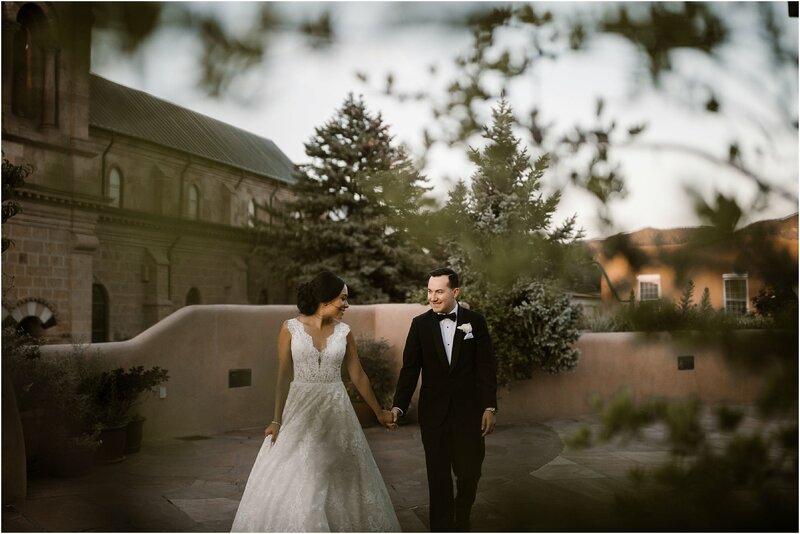 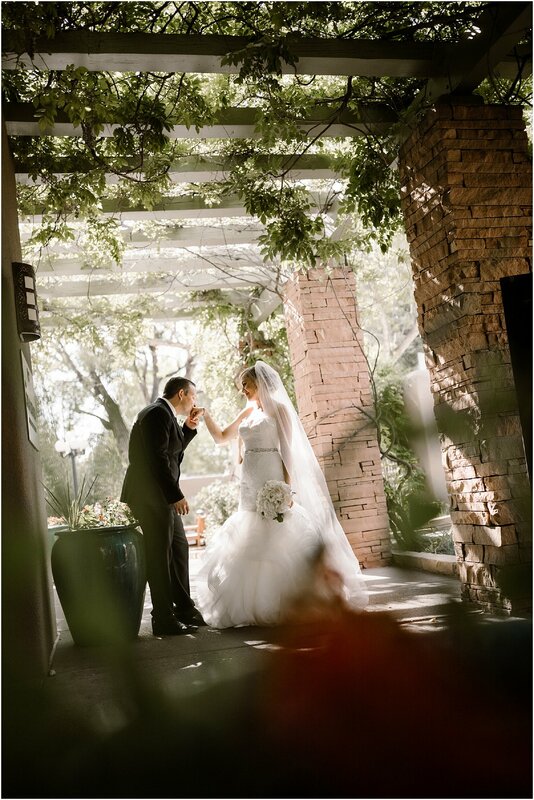 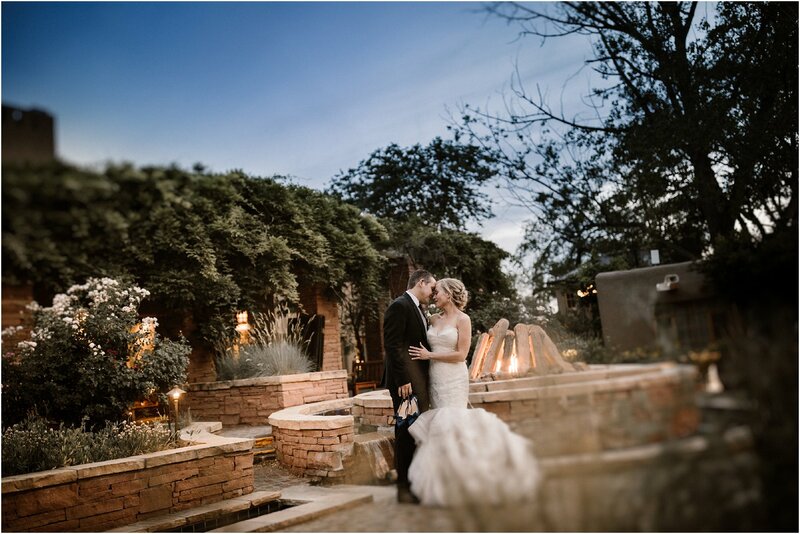 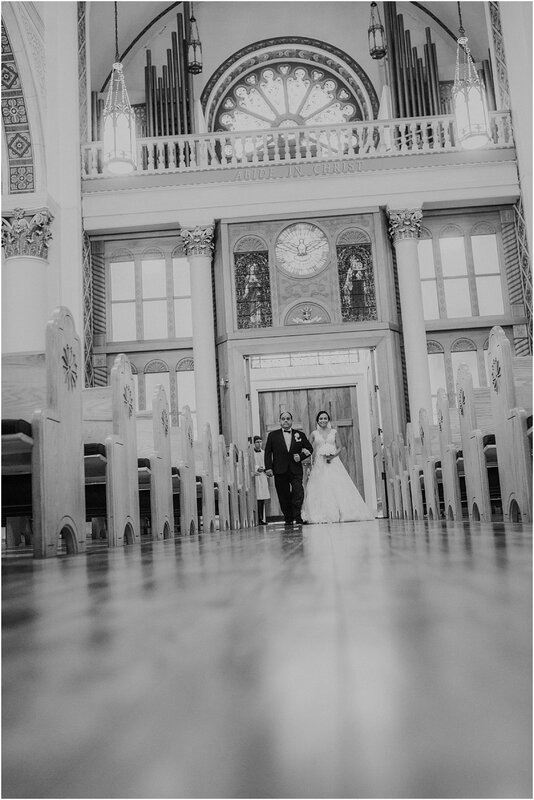 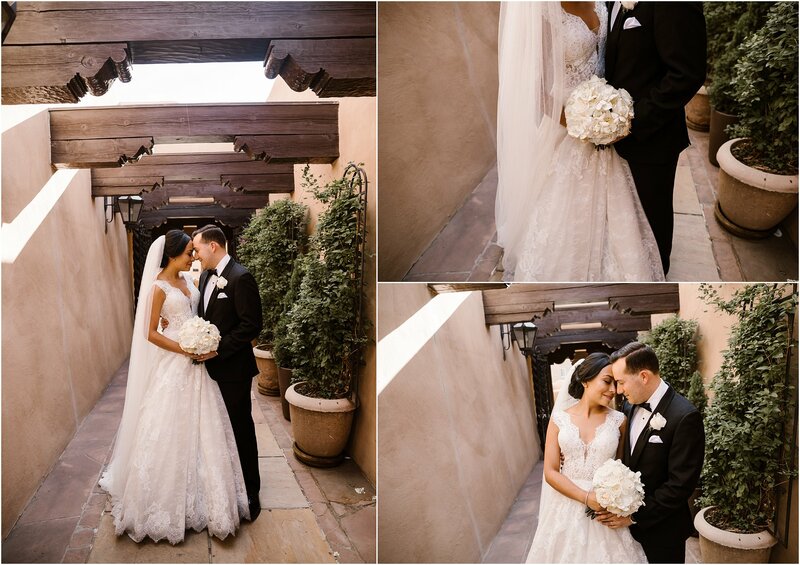 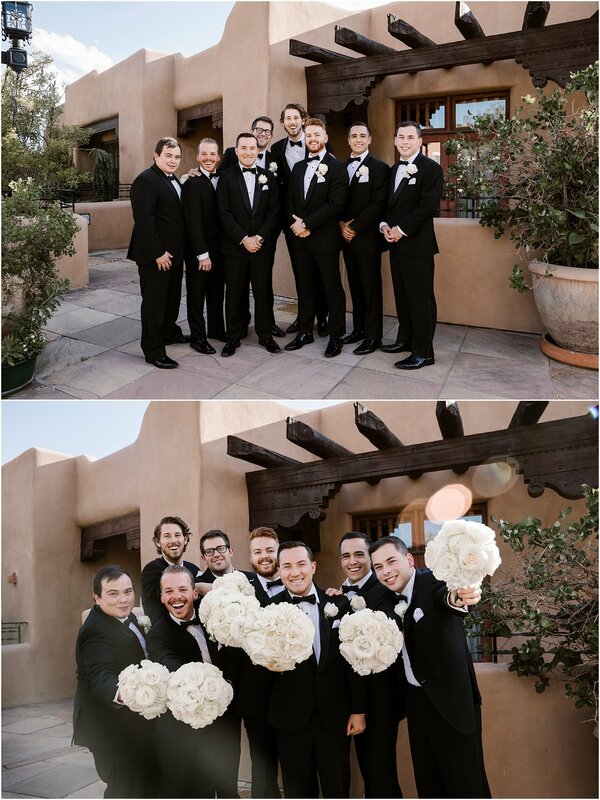 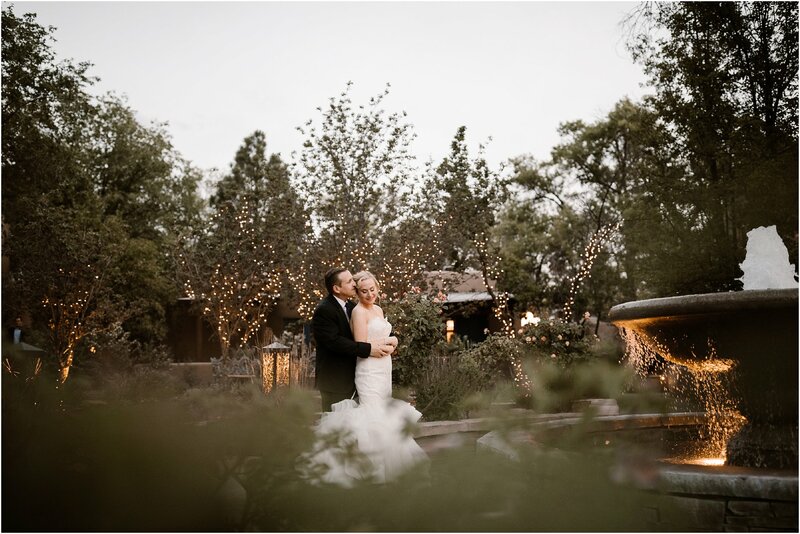 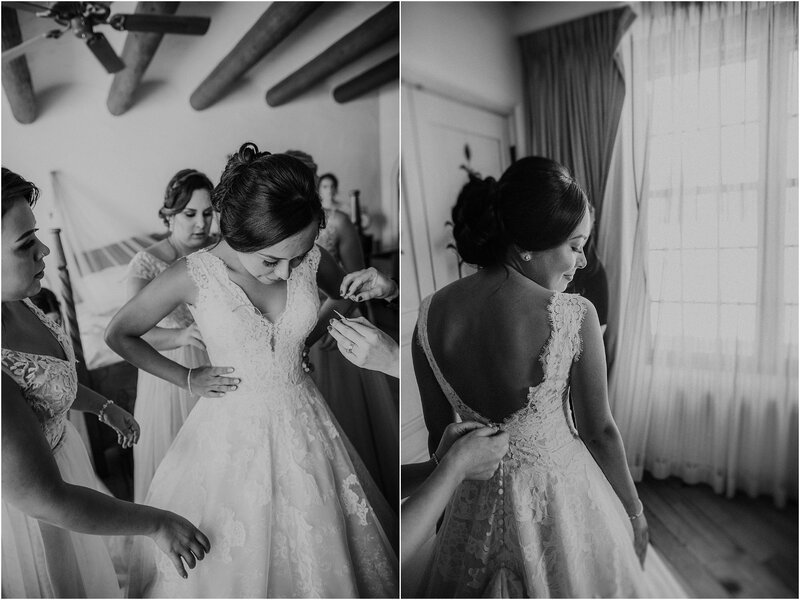 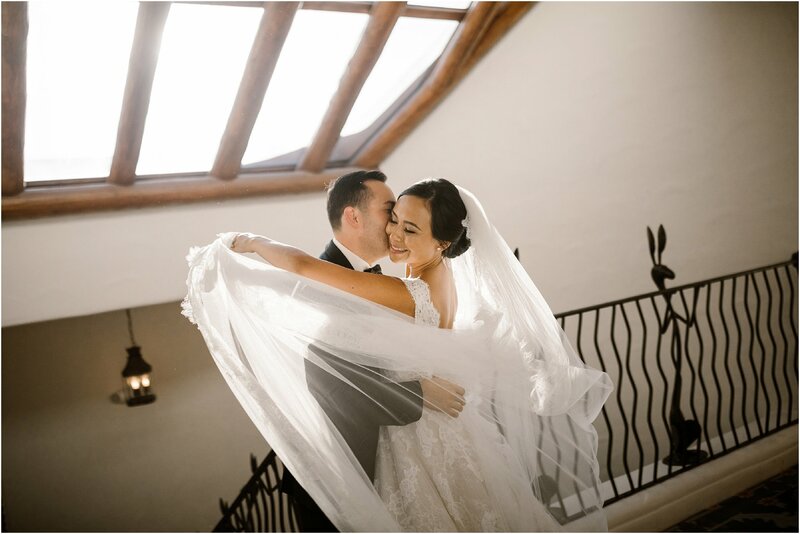 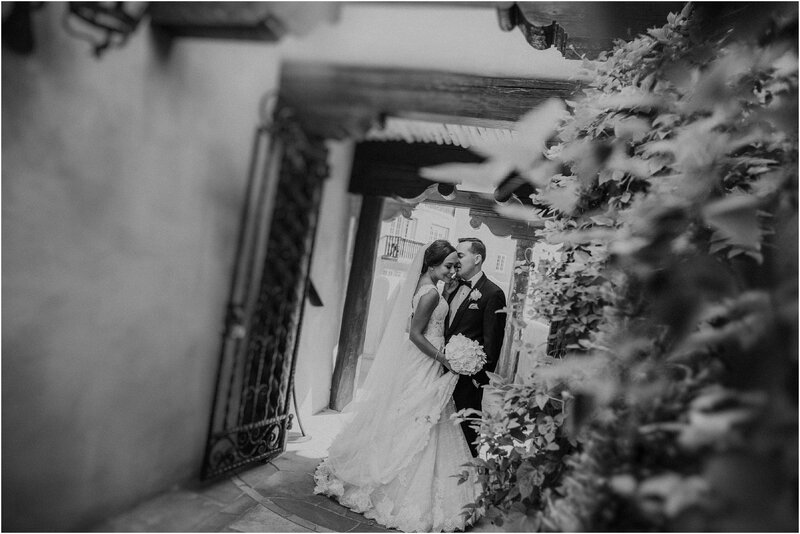 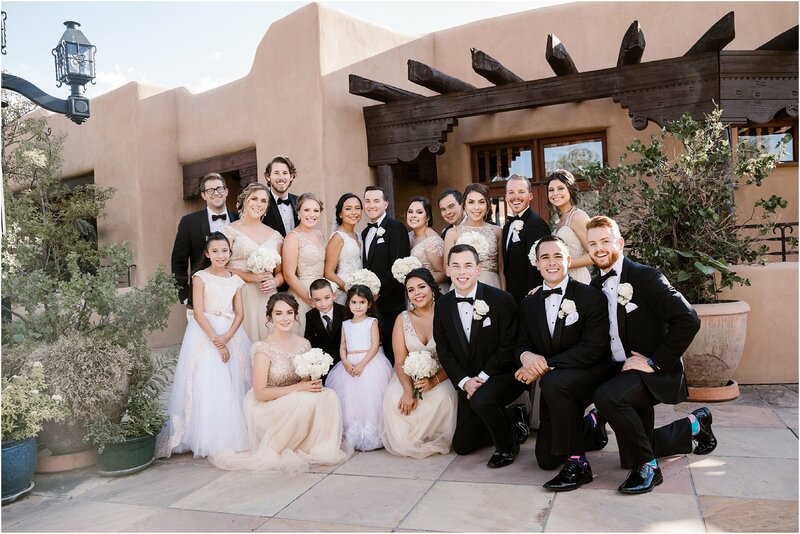 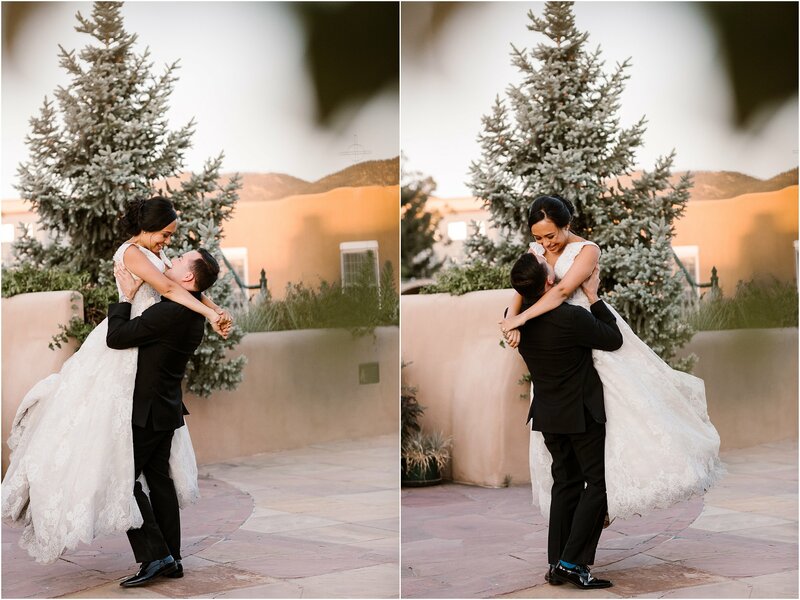 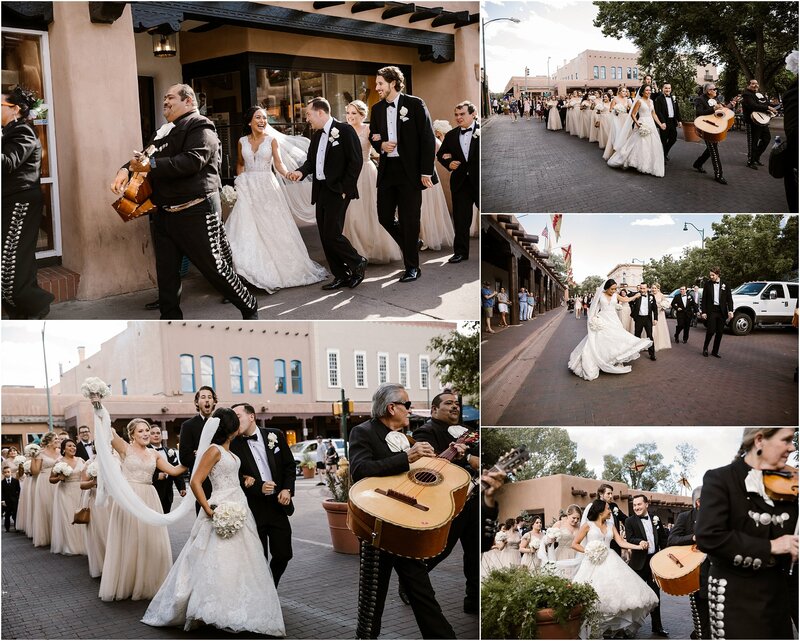 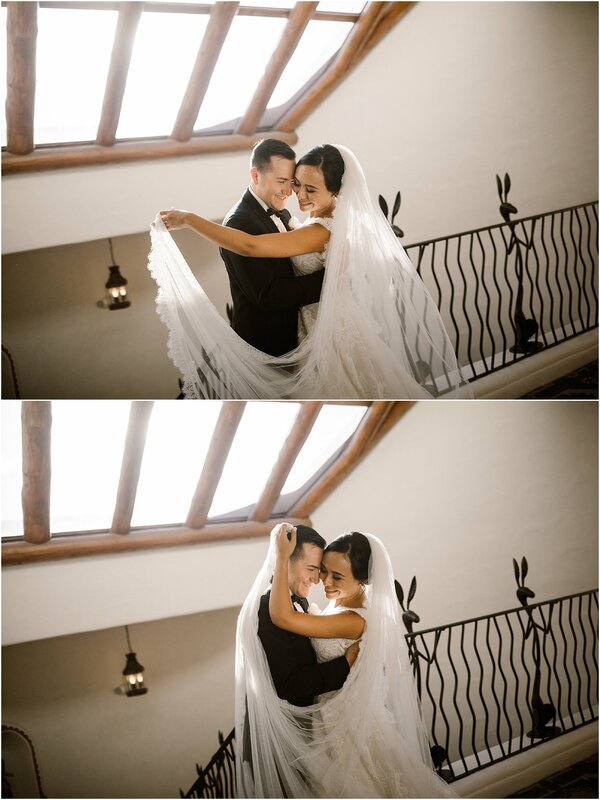 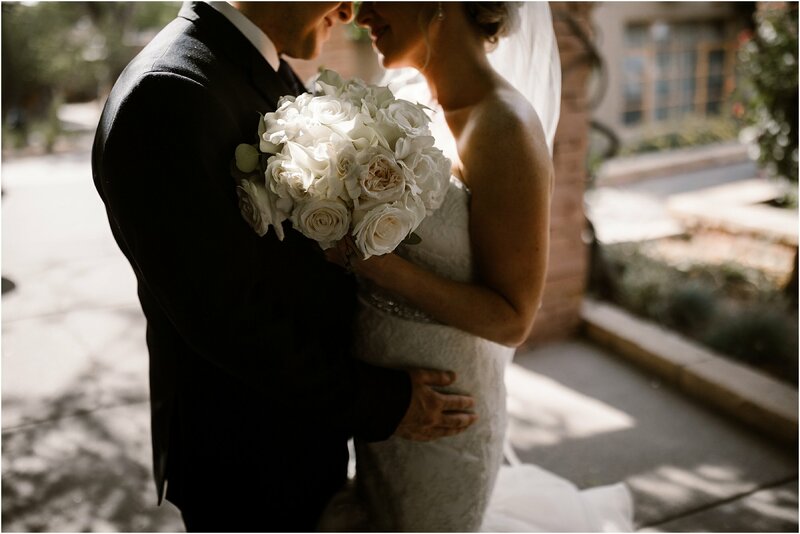 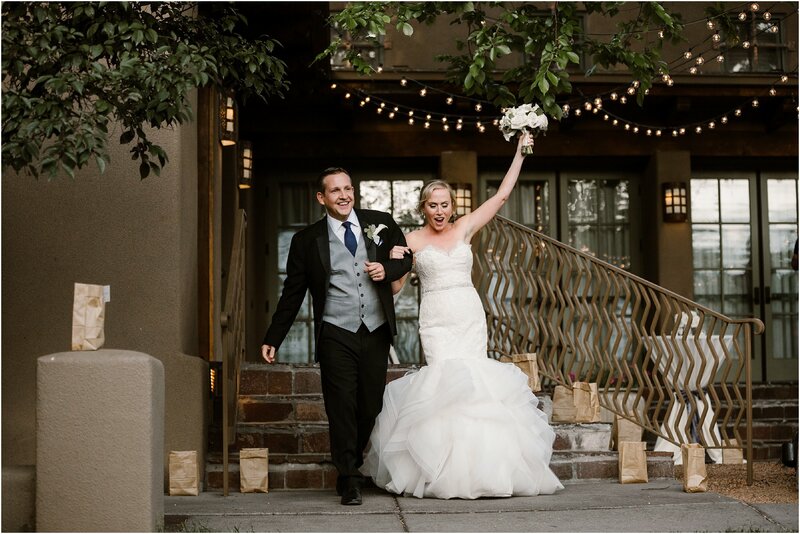 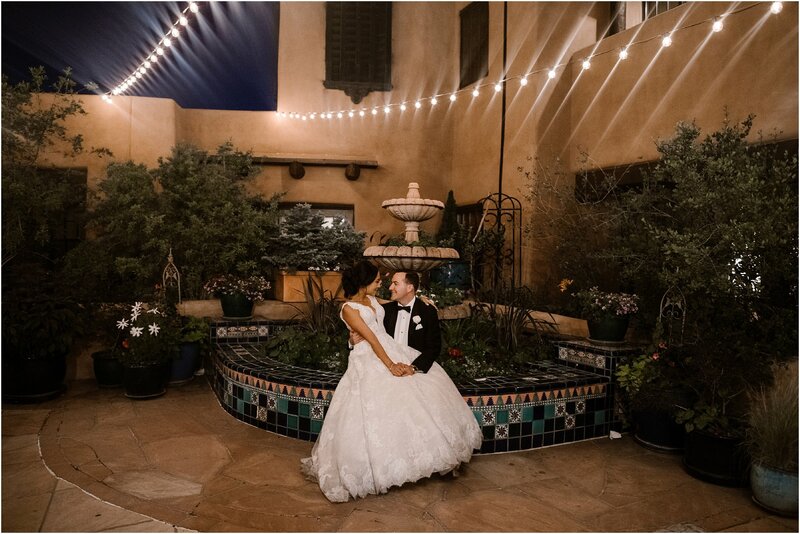 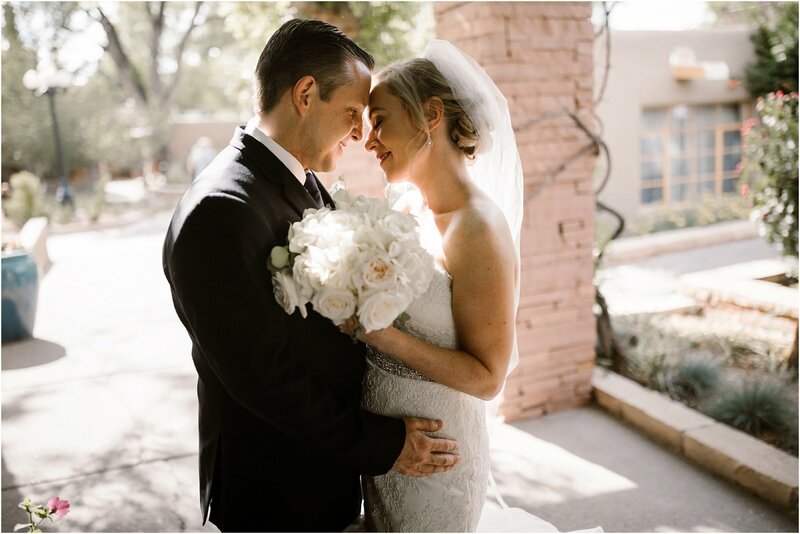 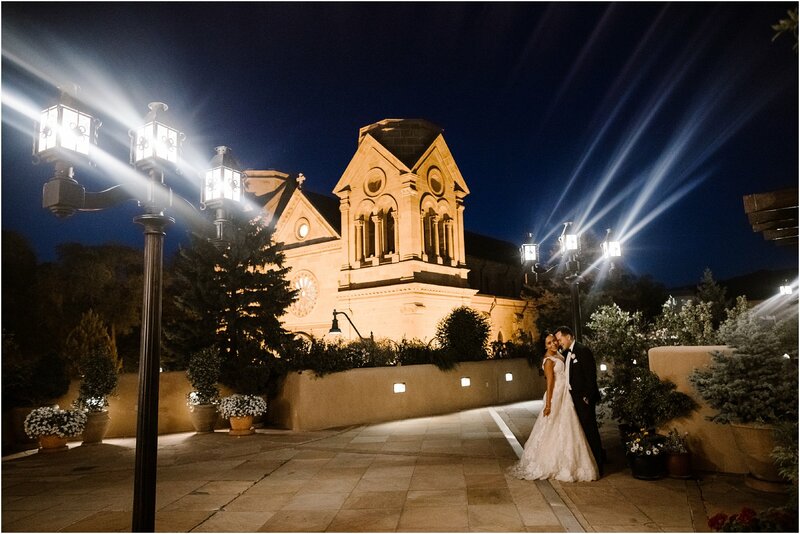 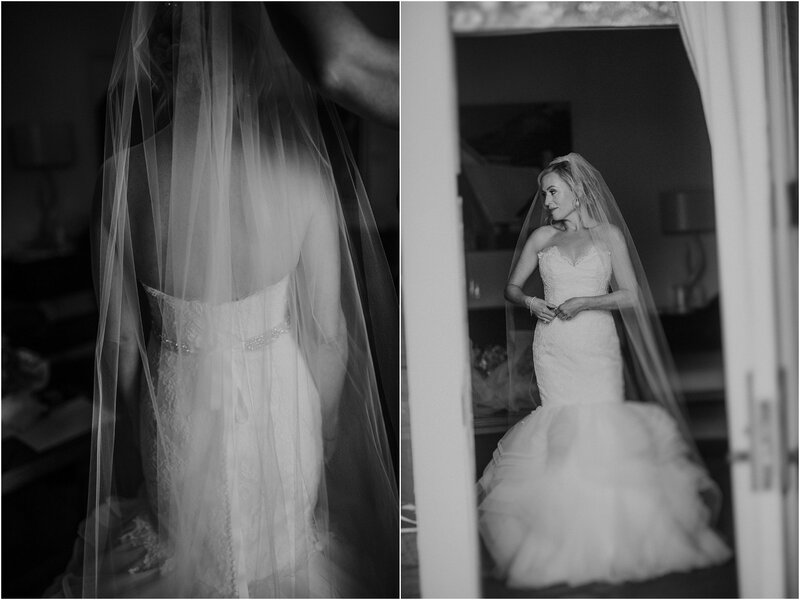 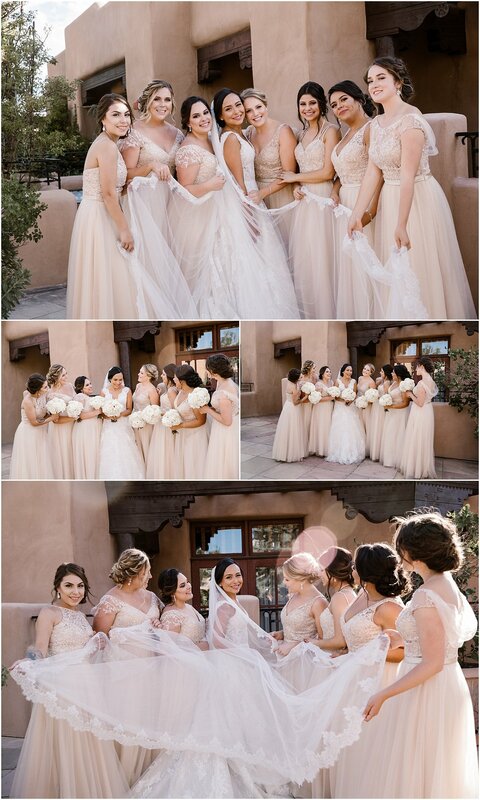 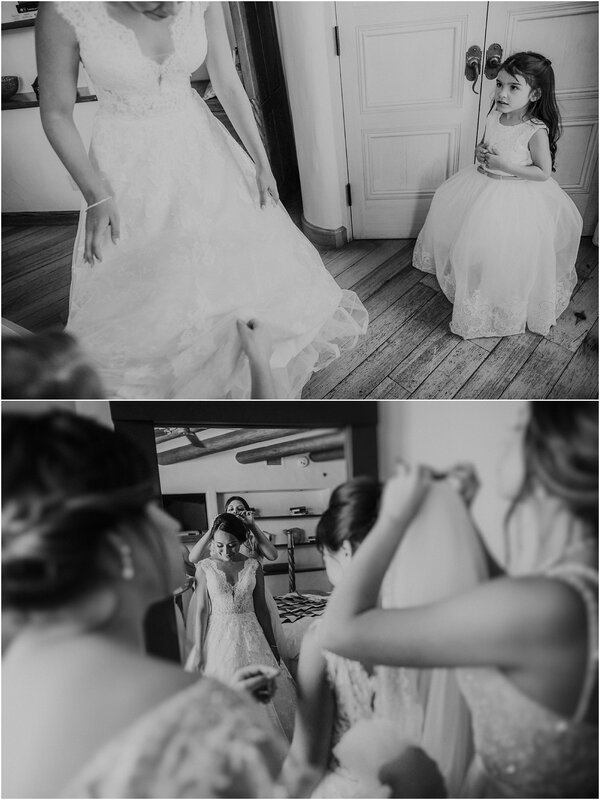 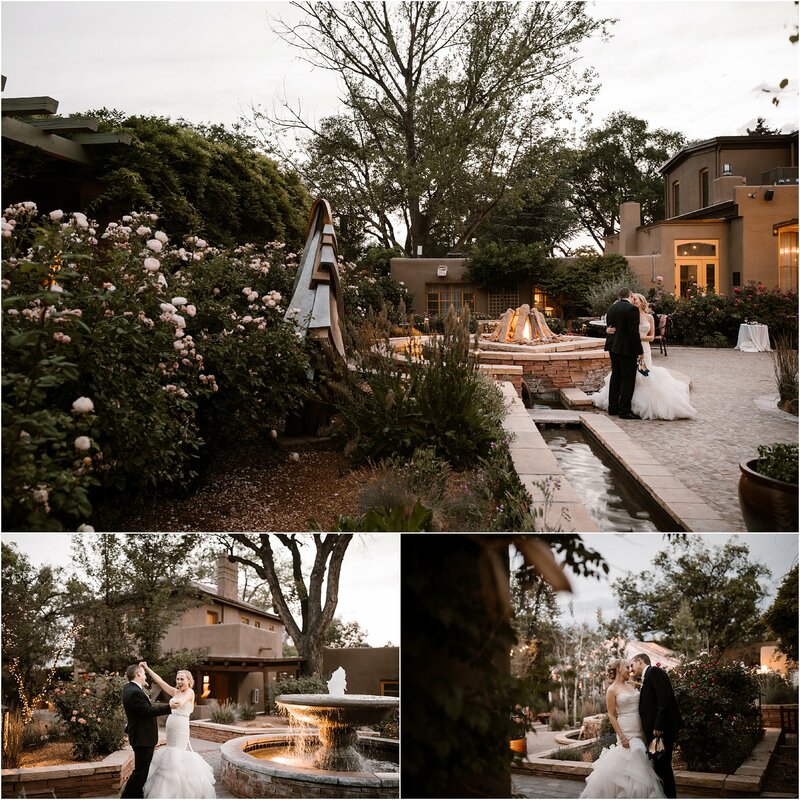 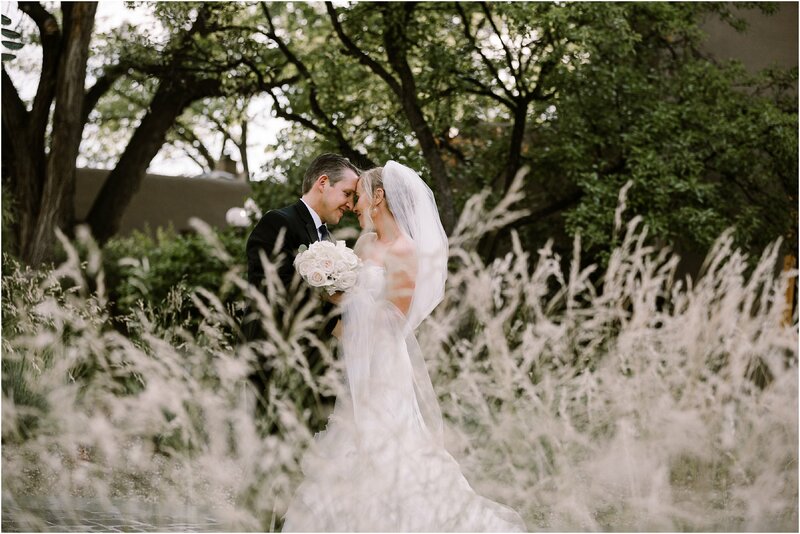 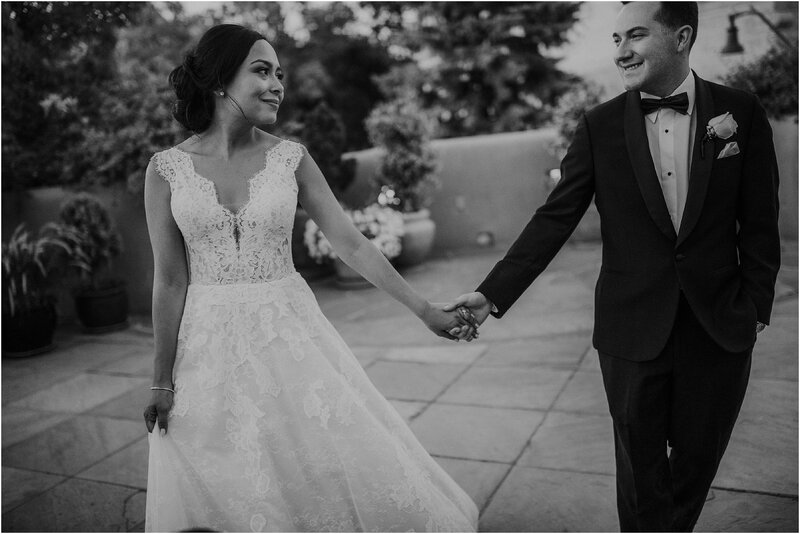 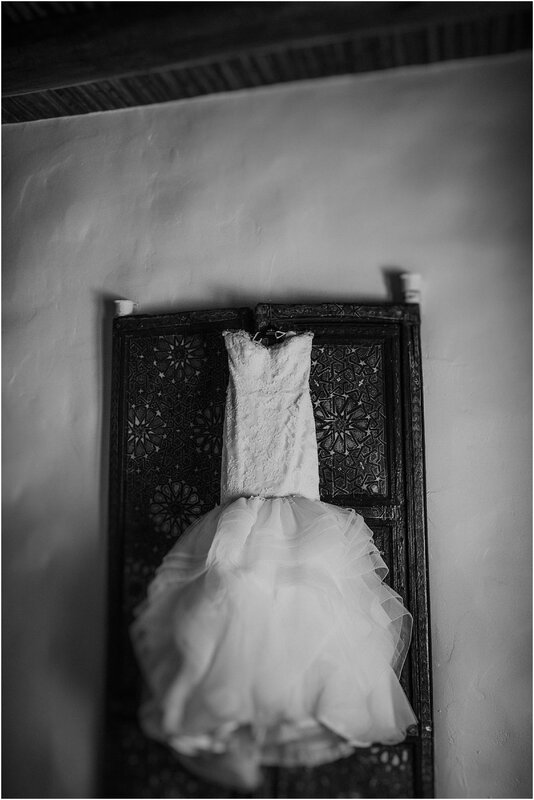 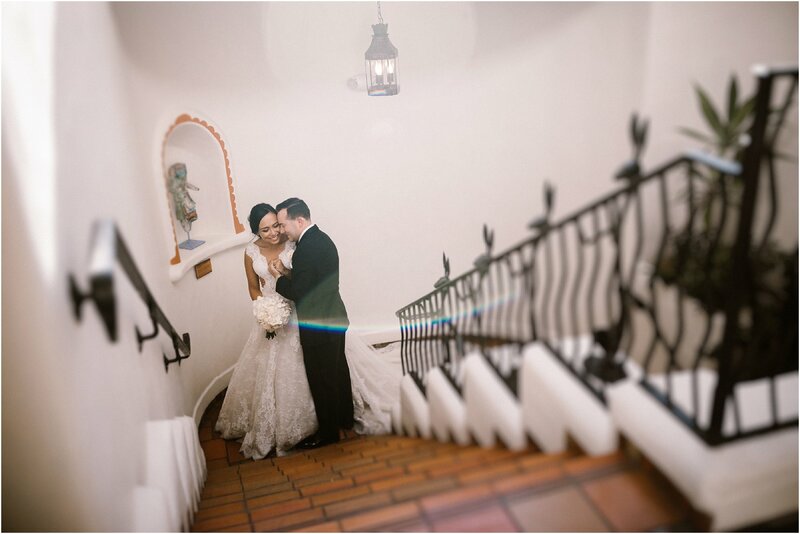 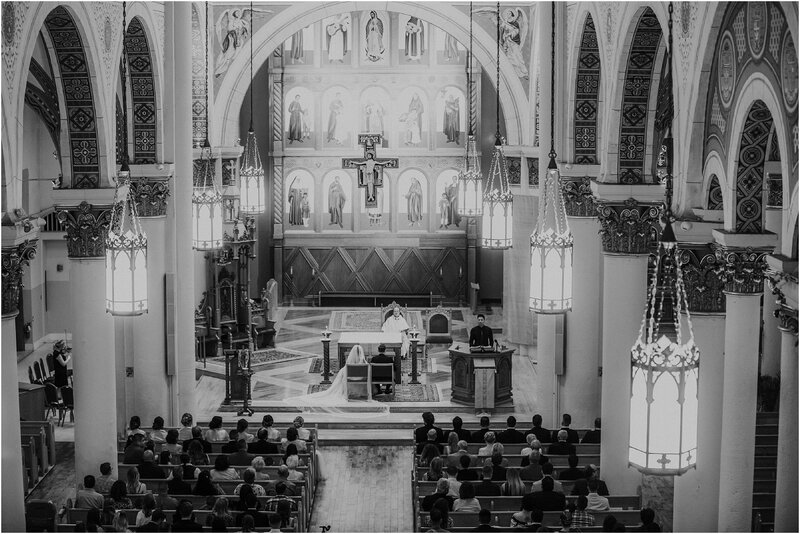 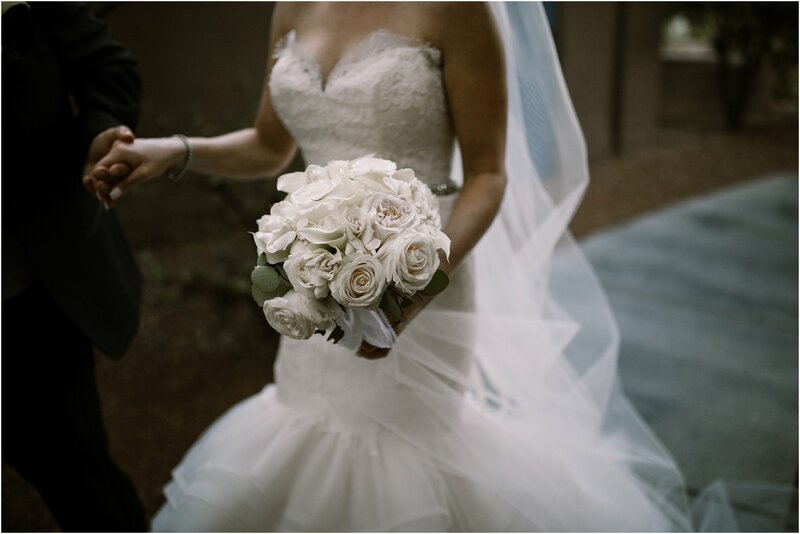 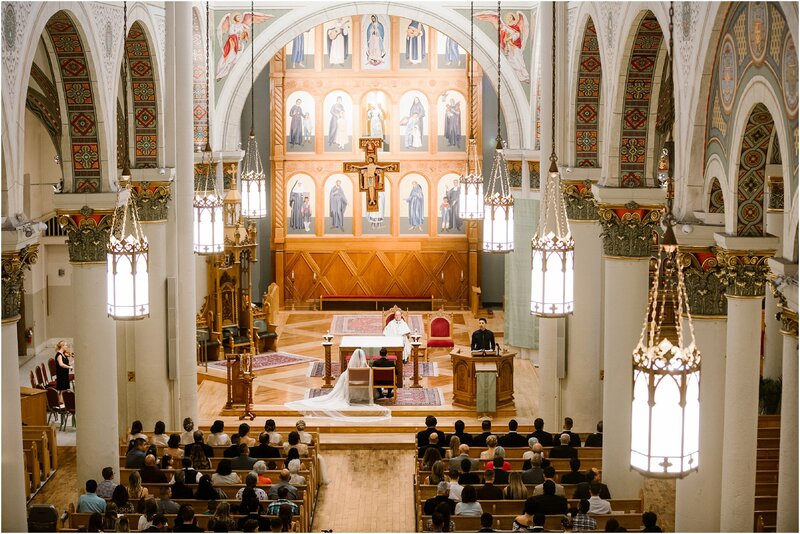 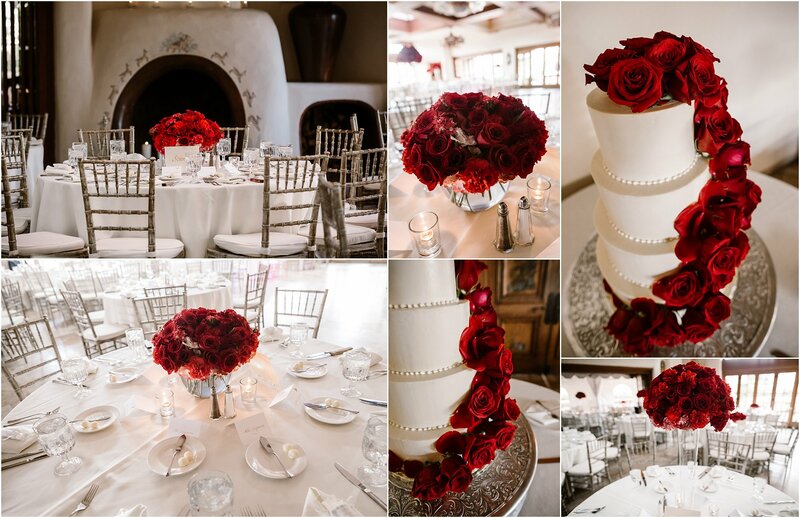 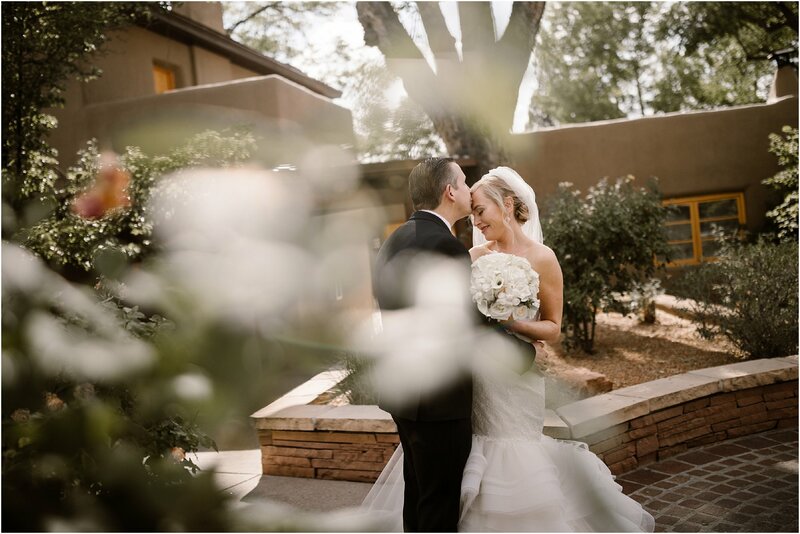 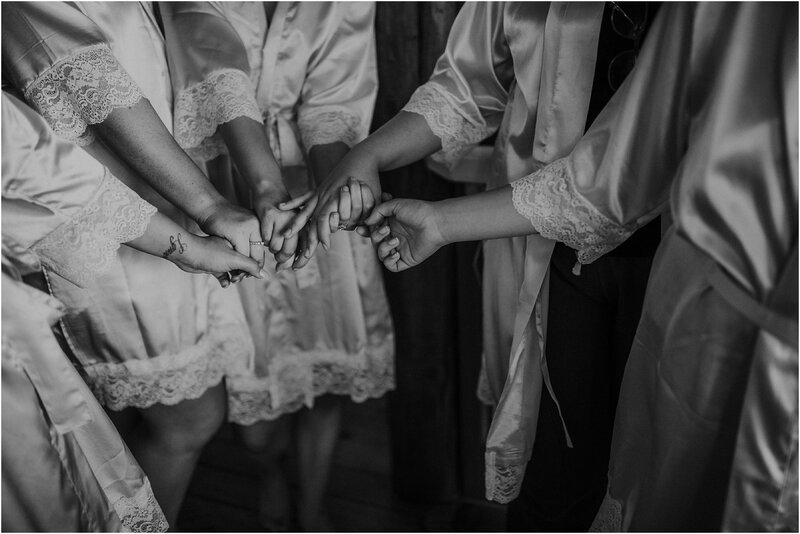 Mariah and Austin’s Santa Fe Santa Fe wedding blends beauty, tradition and romance all at once. 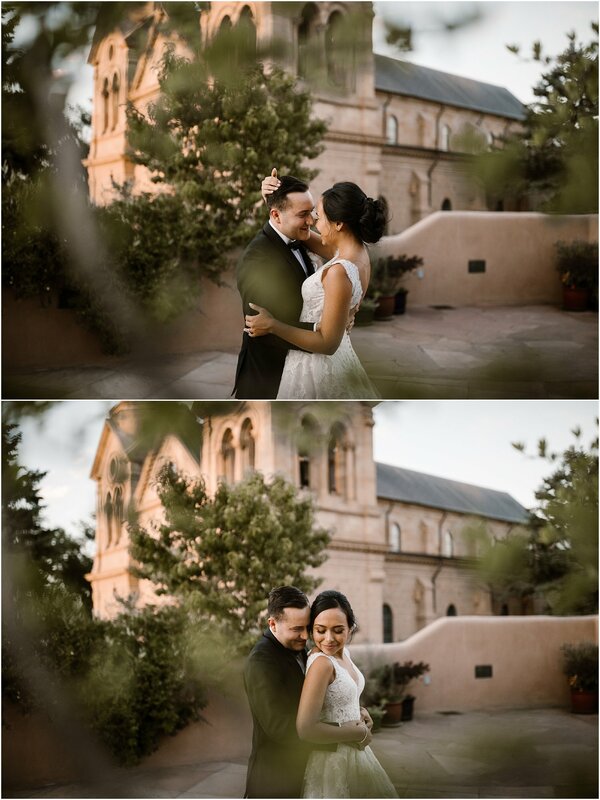 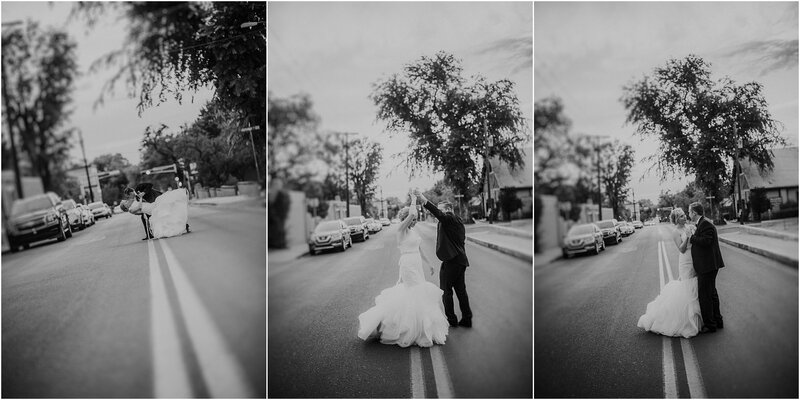 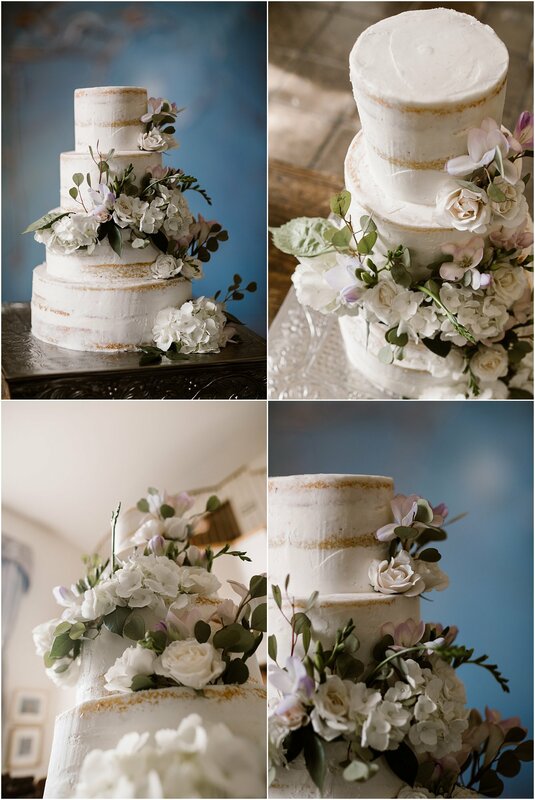 Anyone looking for beautiful backdrops for photos while in Santa Fe will not be disappointed! 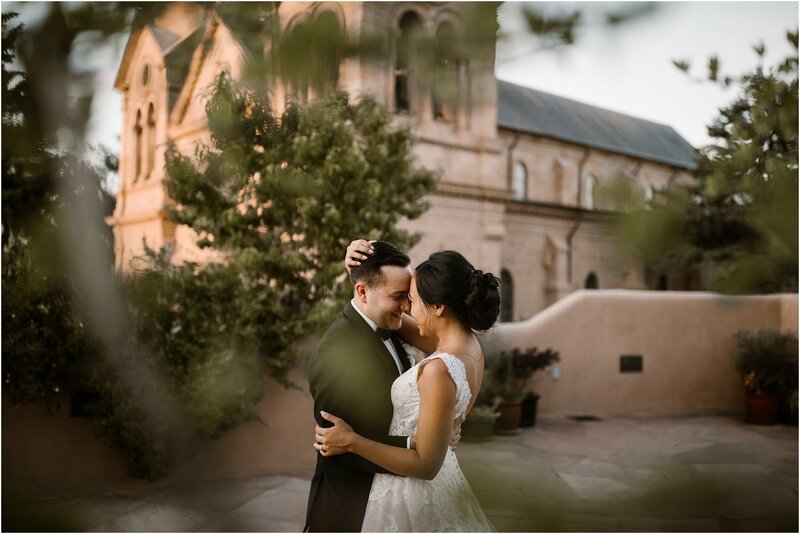 The oldest state capitol in the nation, the photo opportunities are endless.